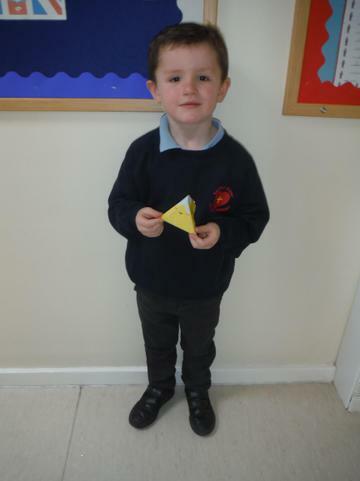 Today was Class 2s termly assembly. 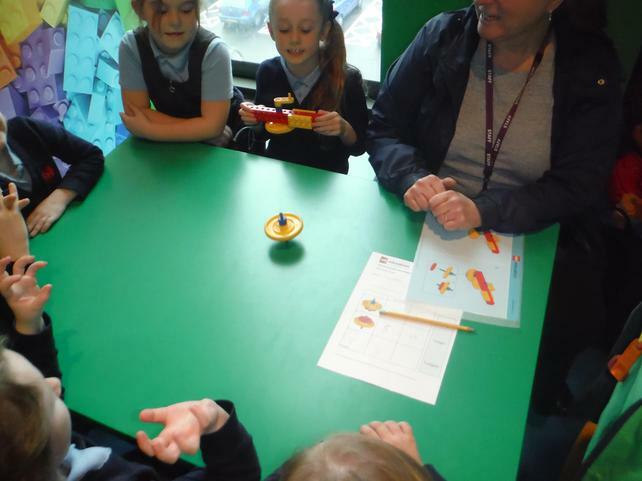 We had a wonderful time sharing our learning with parents and other children in school. 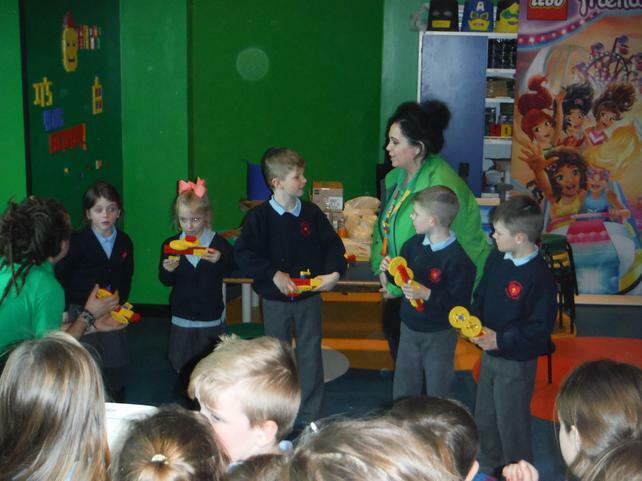 Our assembly focussed on the topics of, Beat, Band and Boogie and Bright Lights, Big City. 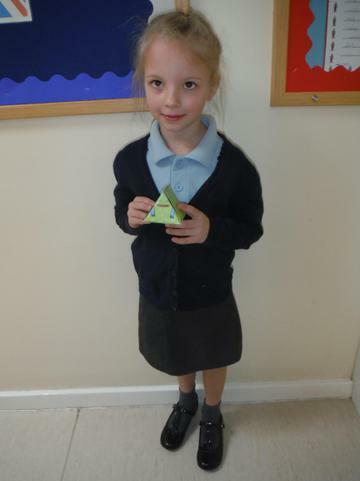 The children worked really hard on the assembly and practised in a really short space of time. 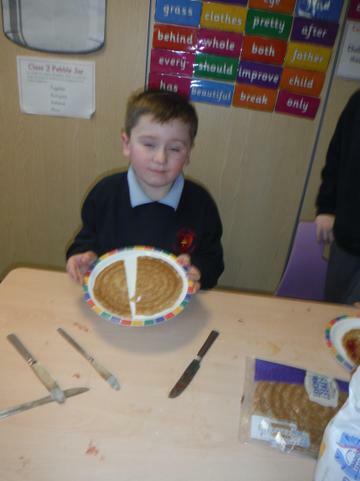 Well done Class 2, you were amazing. 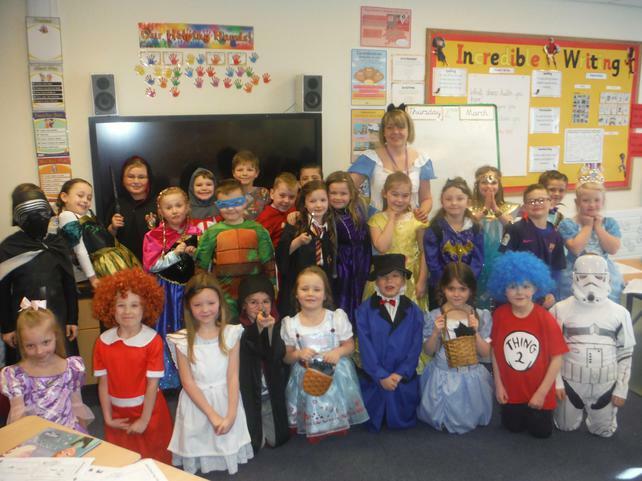 Happy Mother's Day to all the wonderful Mummy's of Class 2 children. 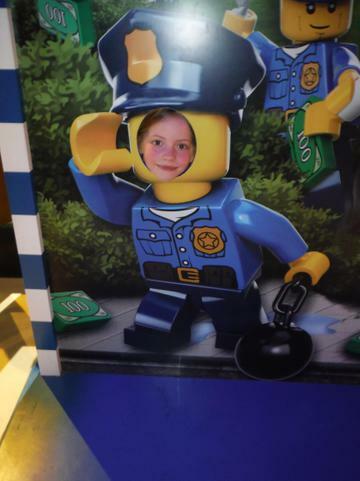 We hope you enjoy this special day. 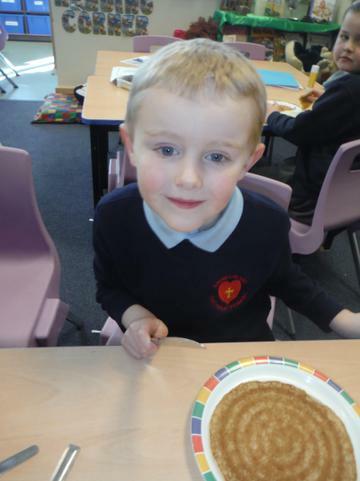 The end of another wonderful week in Class 2. 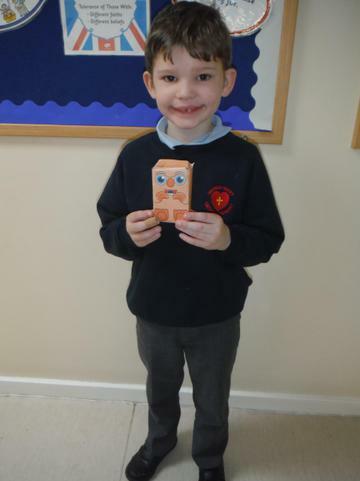 The children have worked incredibly hard on all aspects of our learning this week and even managed to find the time to make a lovely card and gift for Mum for Sunday. 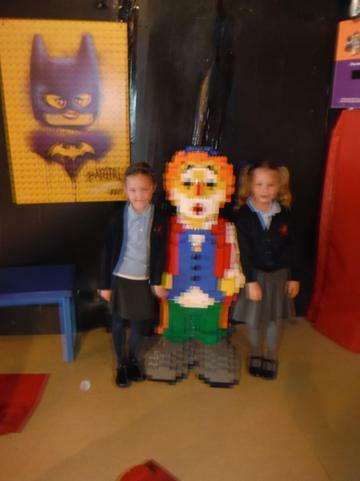 Our topic this term is 'Bright Lights, Big City', to begin our topic we had a special visitor arrive from Peru. 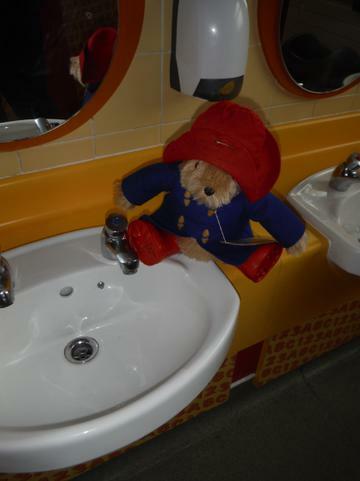 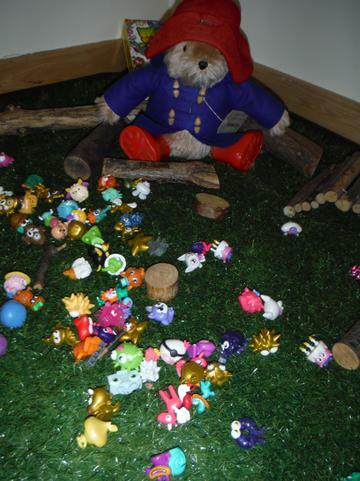 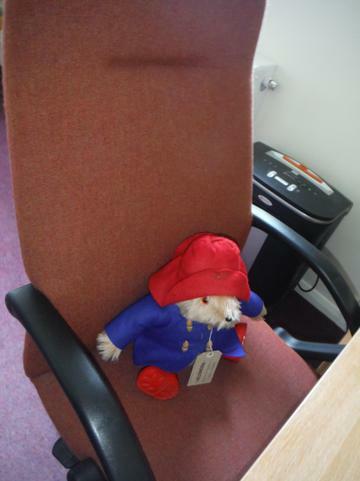 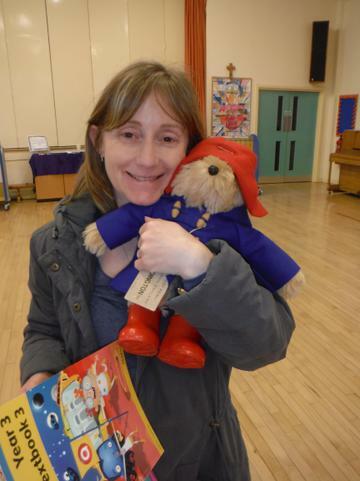 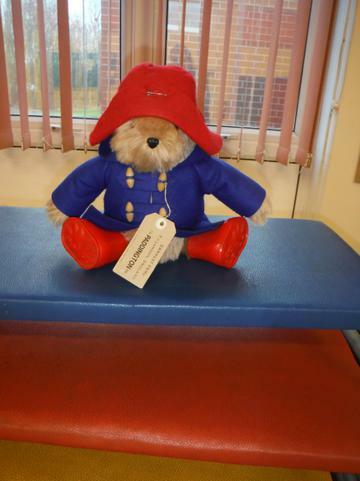 Paddington needed looking after and Class 2 have done the job perfectly. 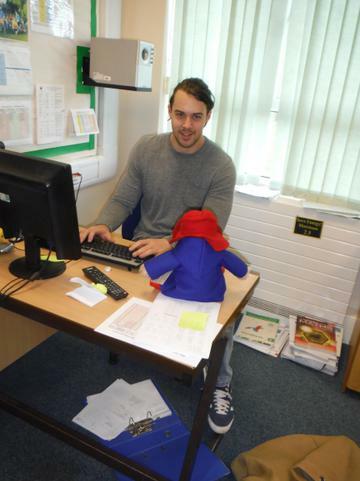 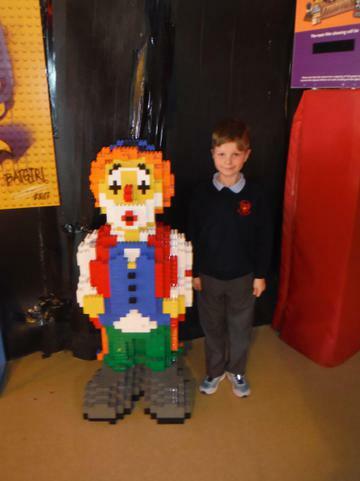 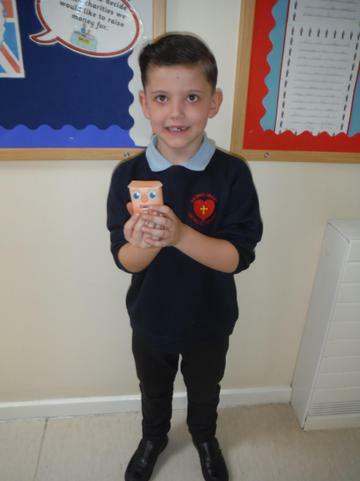 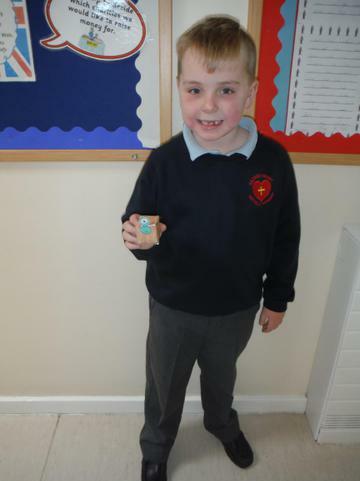 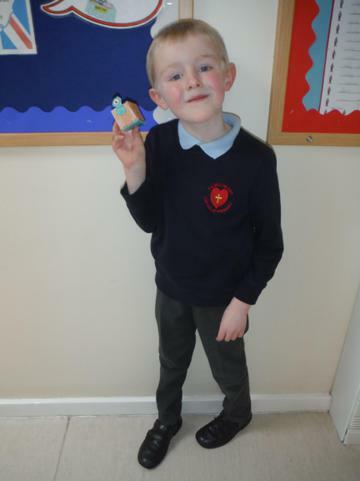 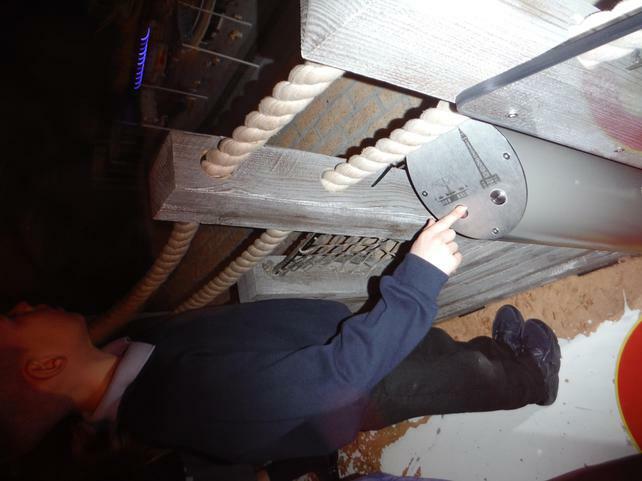 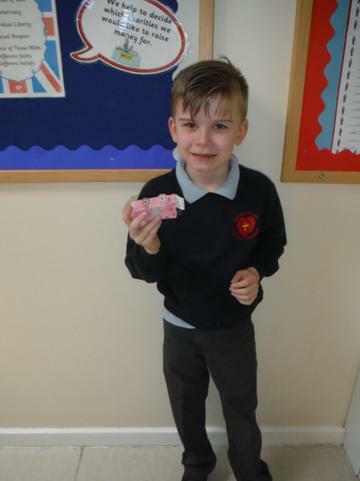 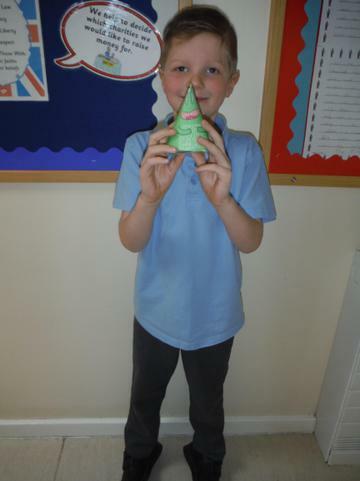 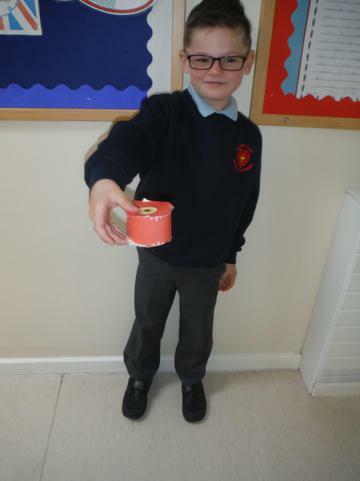 He has explored all parts of Sacred Heart School and has taken part in our learning. 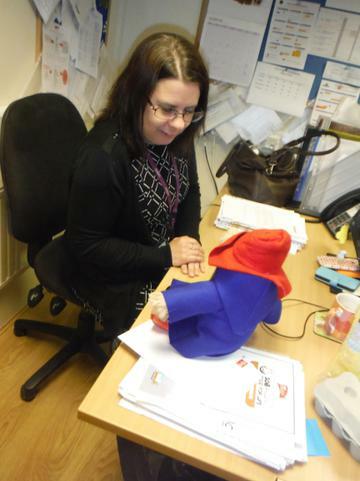 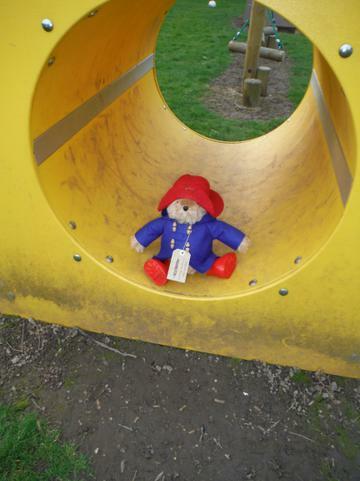 He brought a letter with him from his Dear Aunt Lucy and we have used our letter writing skills to tell her all about Paddington's adventures so far. 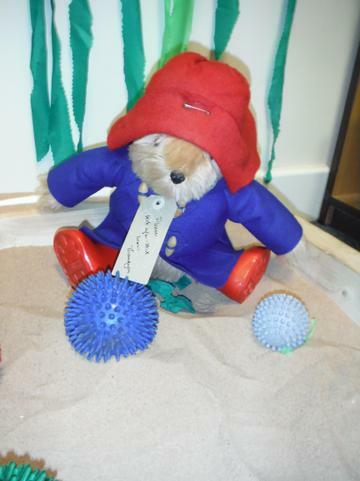 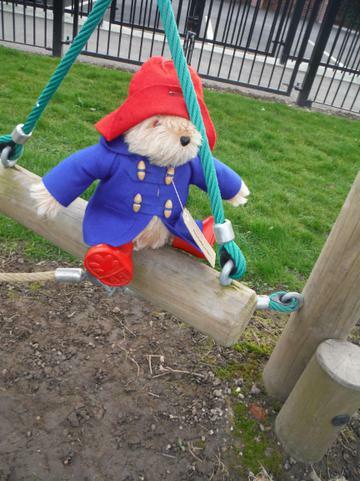 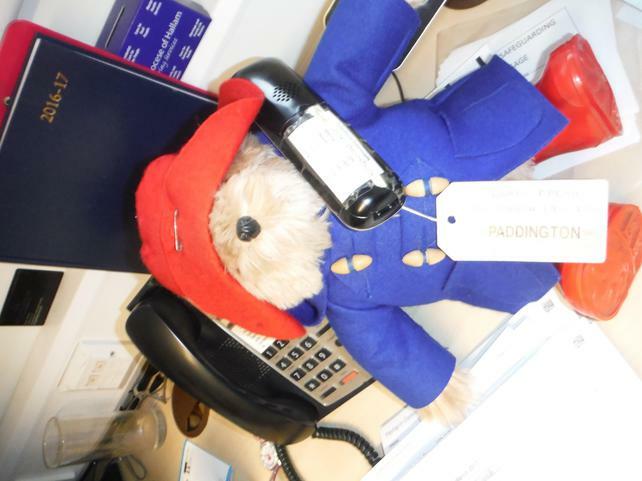 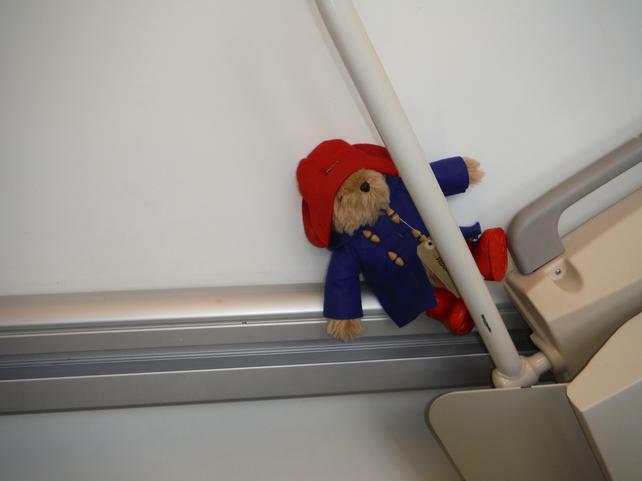 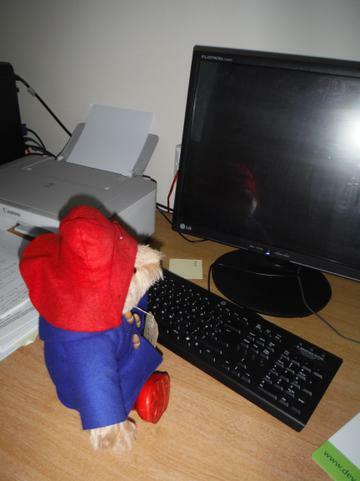 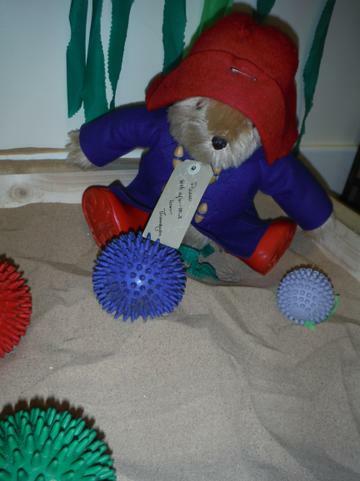 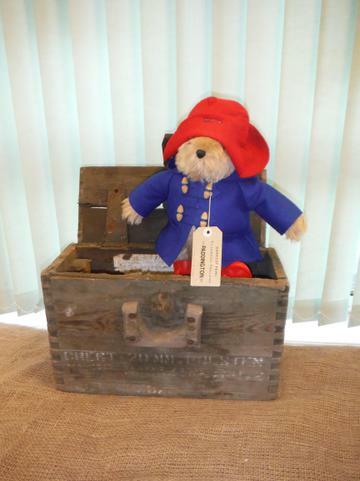 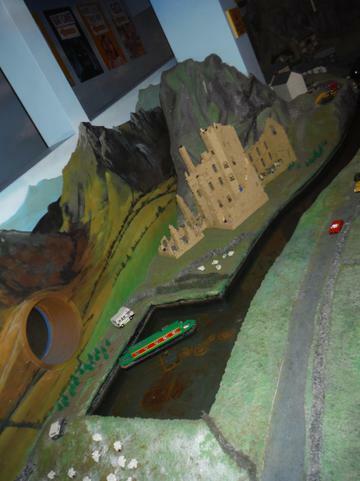 Next week Paddington will start his new job as a Tour Guide for the London Landmarks and has asked the children to create a booklet to inform people about the different landmarks and what they can see if they visit them. 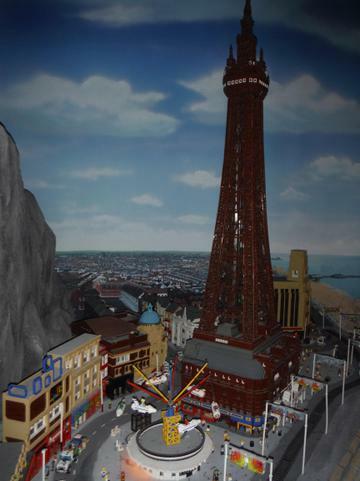 We started our new topic 'Bright Lights, Big City', with a bang! 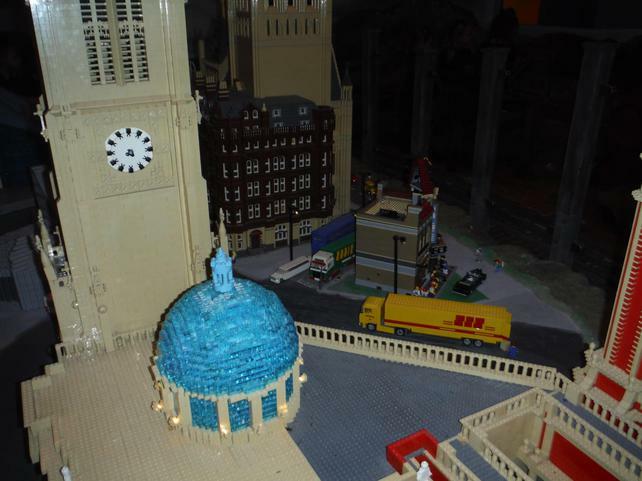 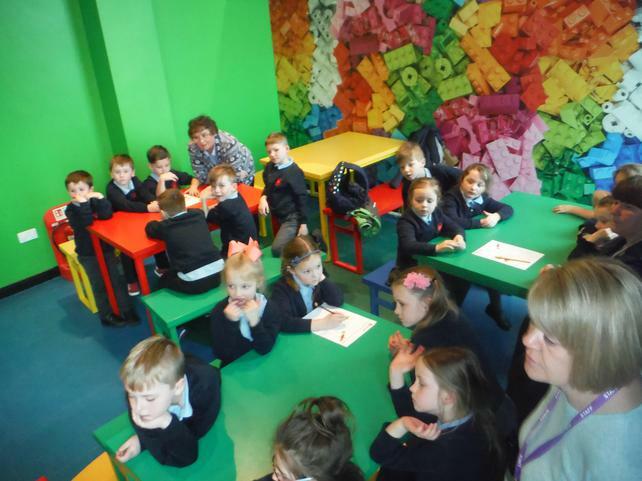 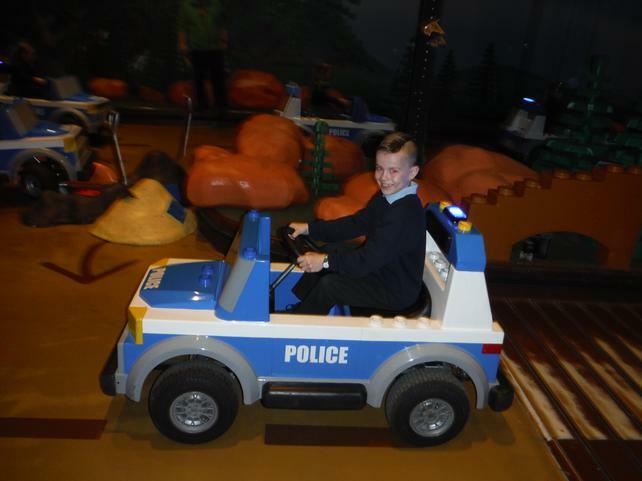 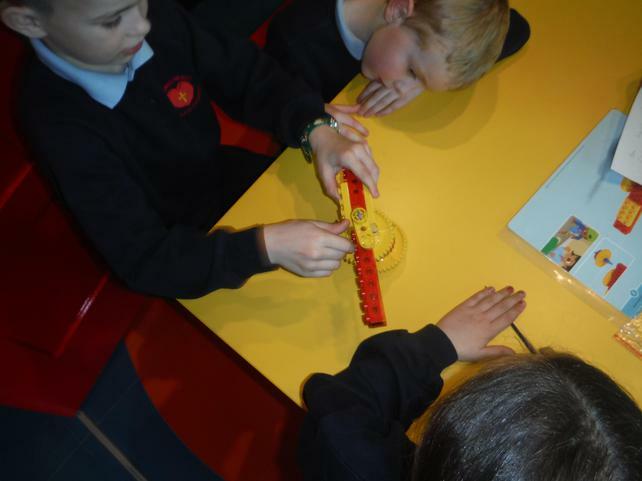 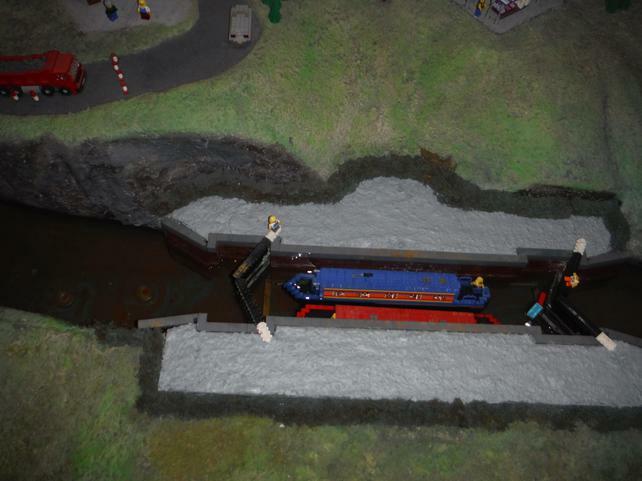 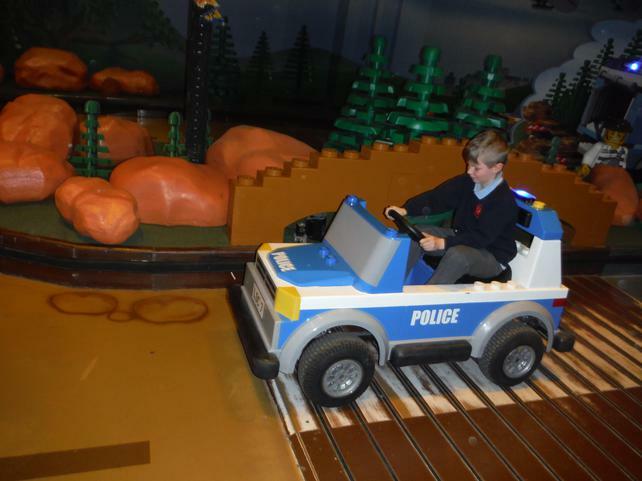 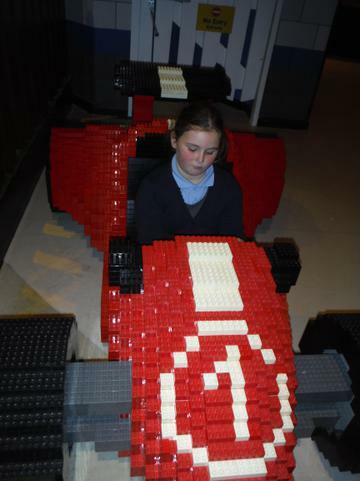 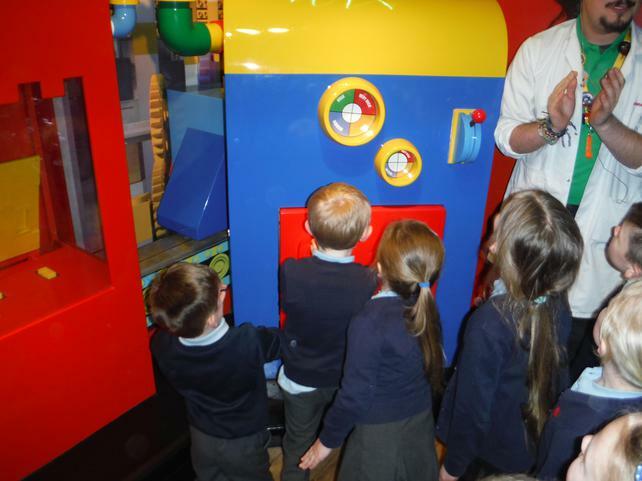 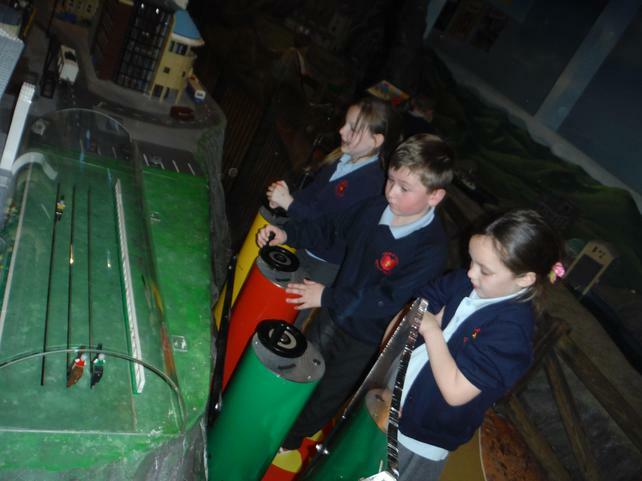 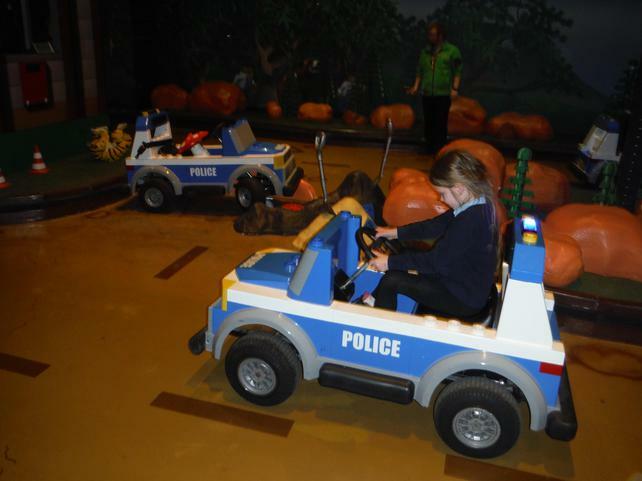 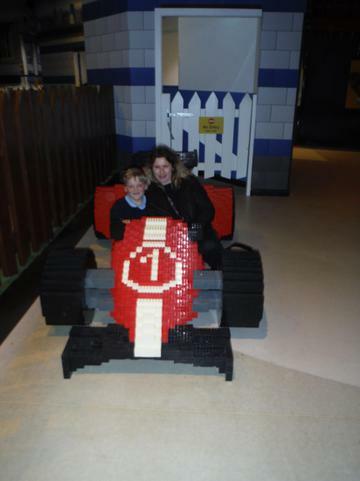 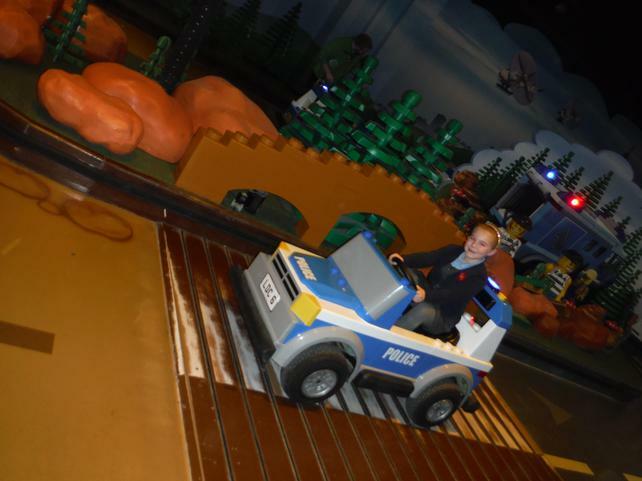 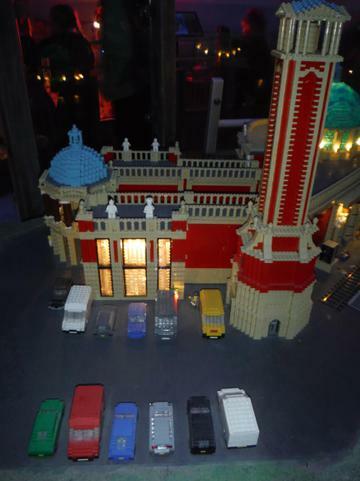 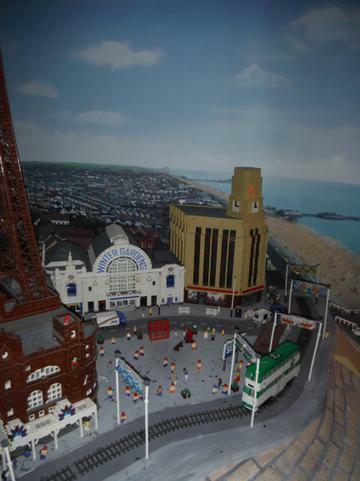 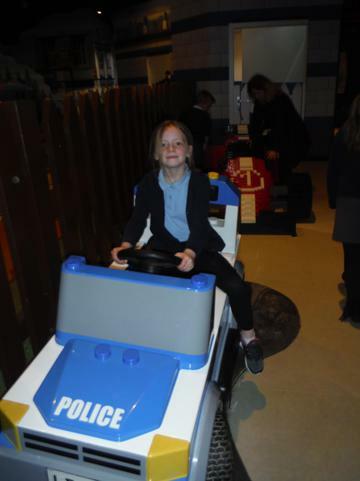 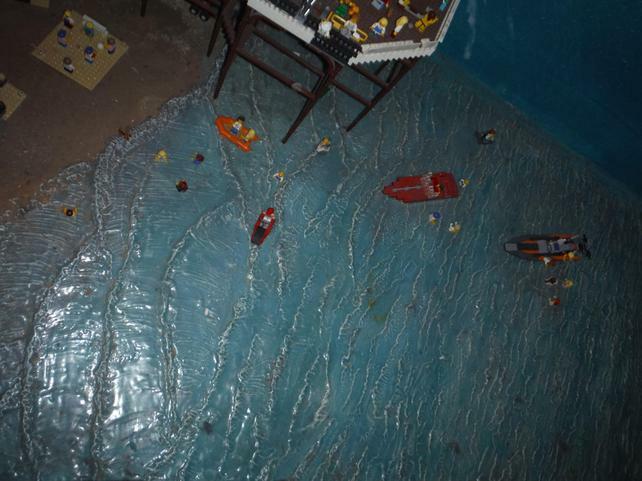 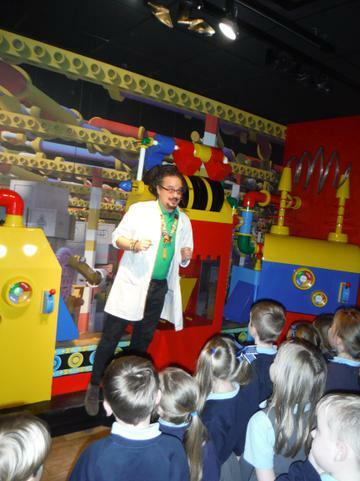 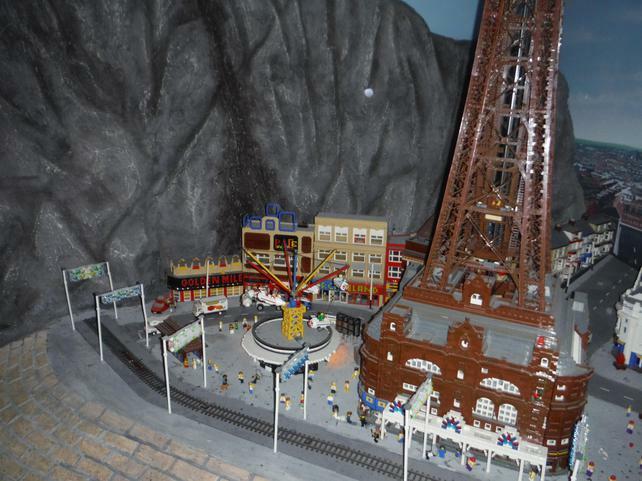 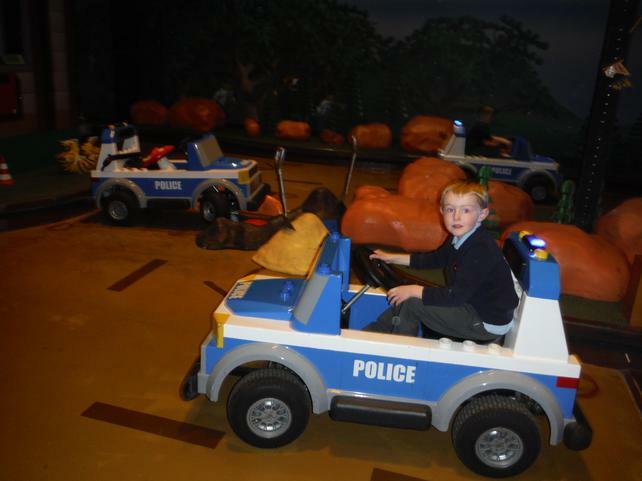 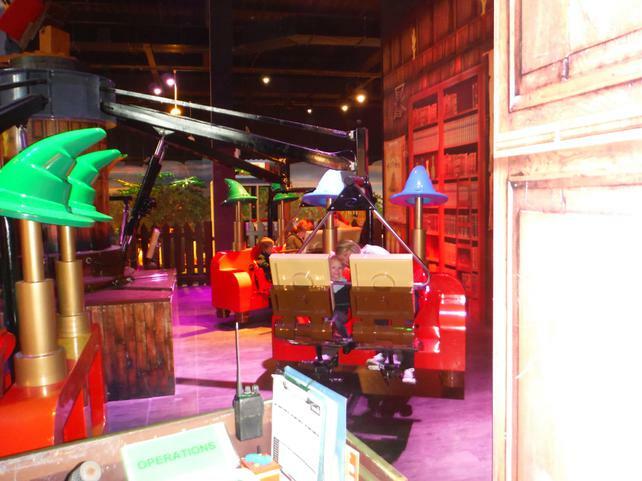 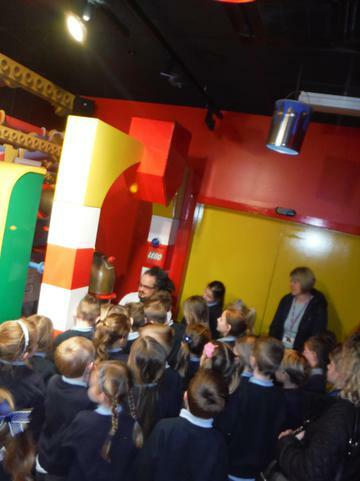 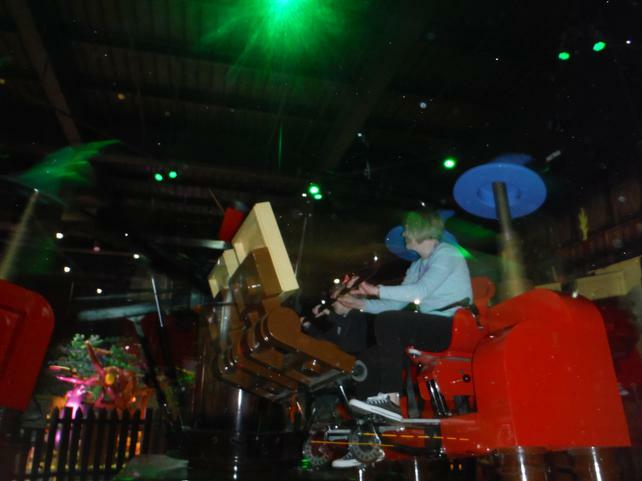 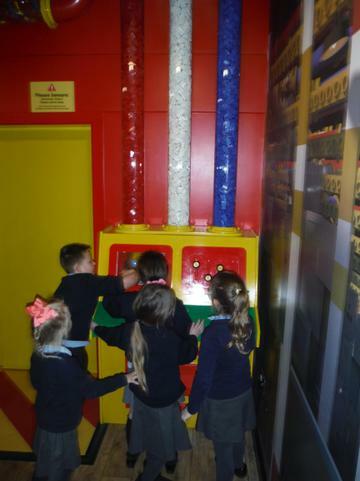 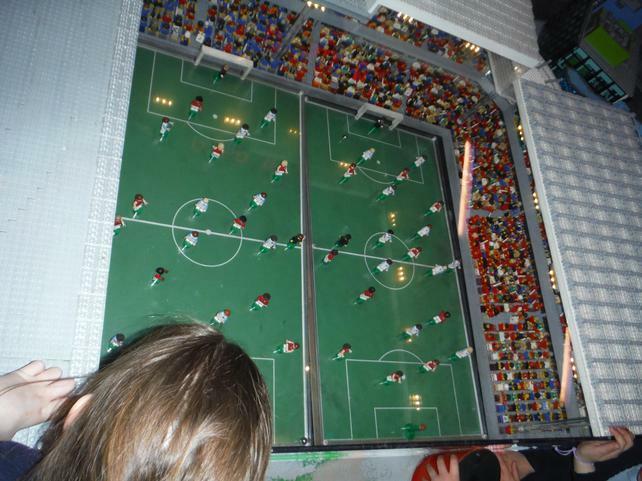 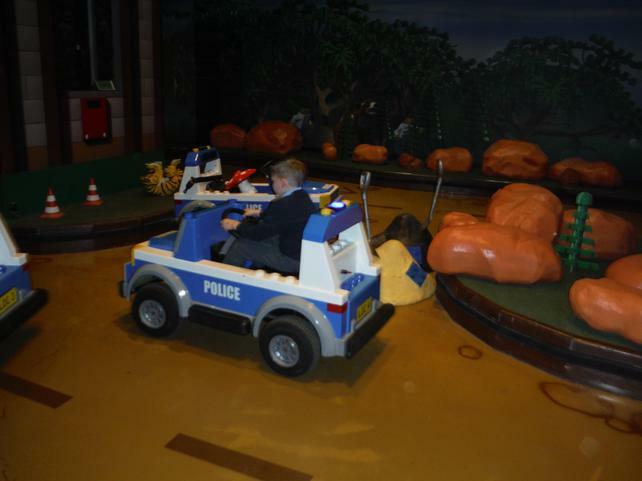 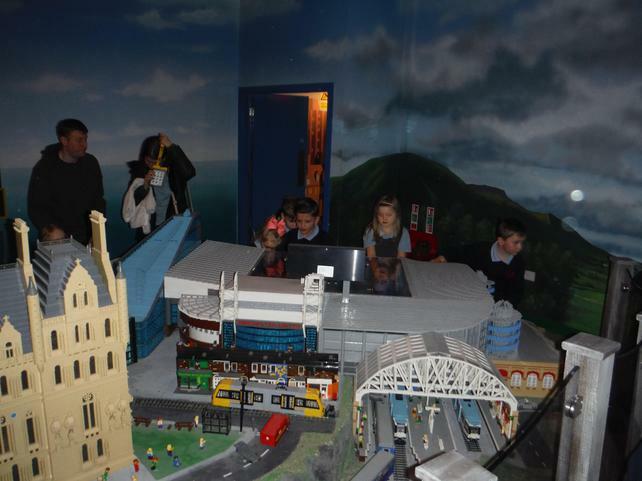 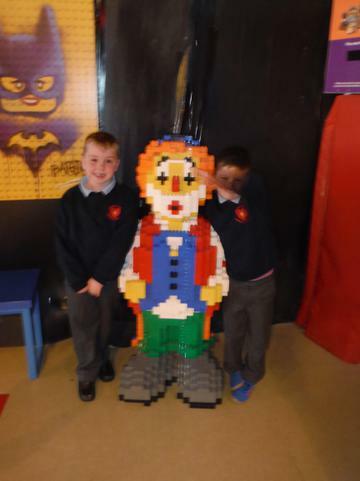 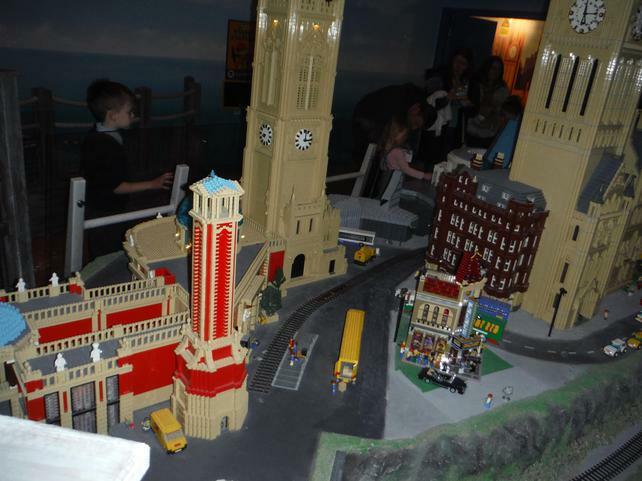 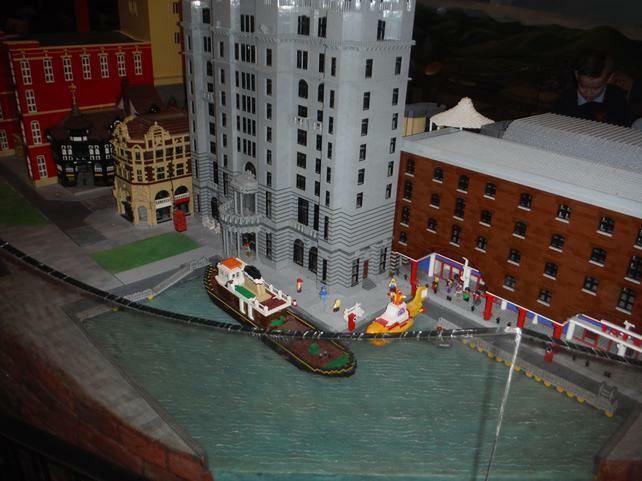 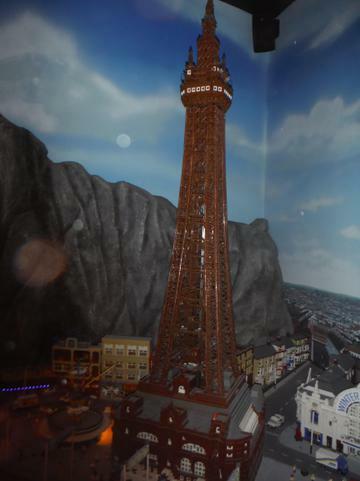 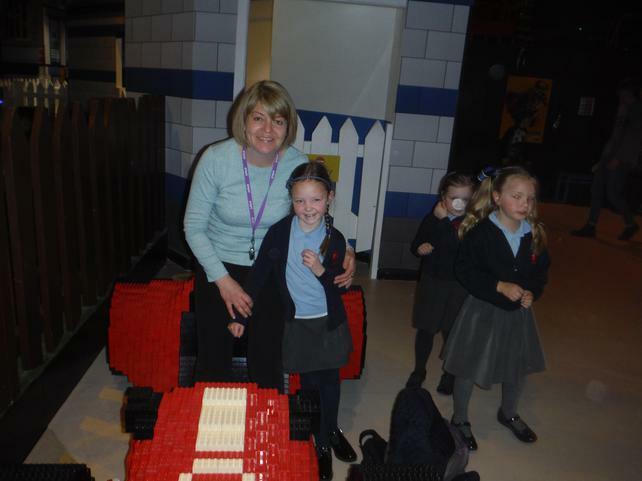 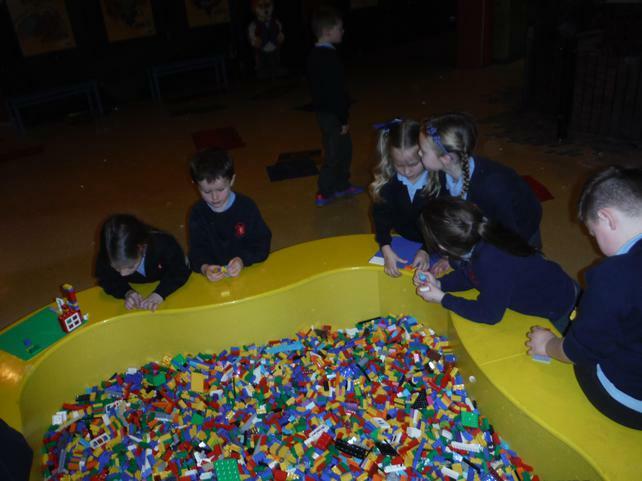 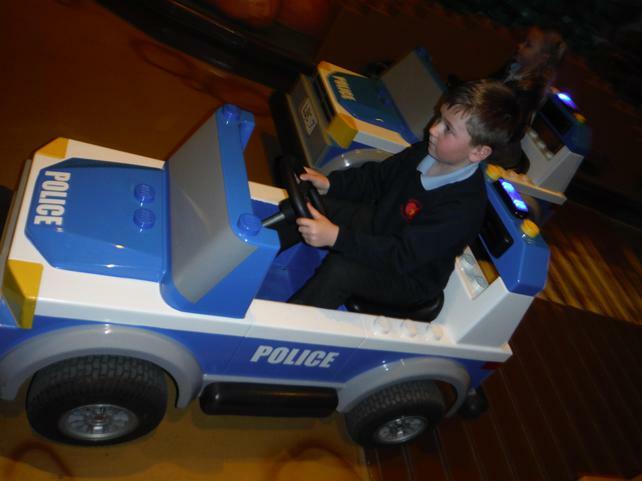 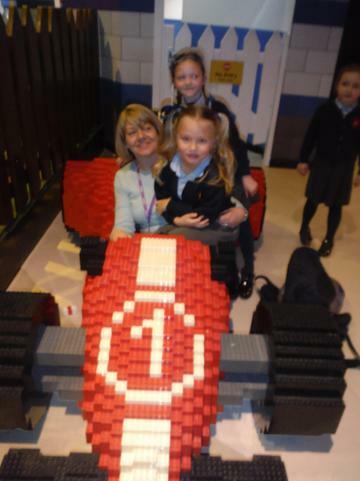 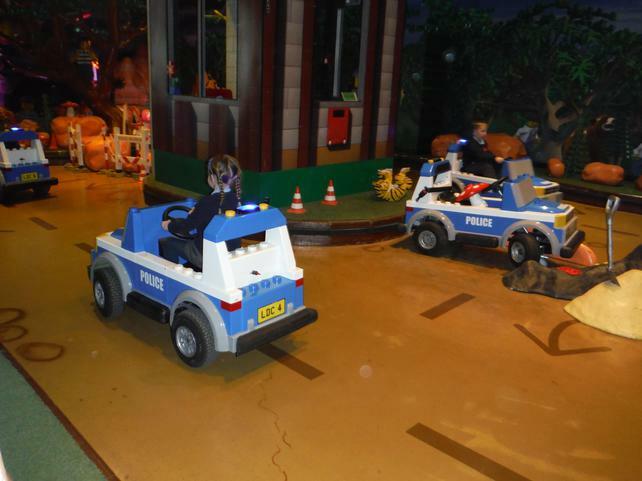 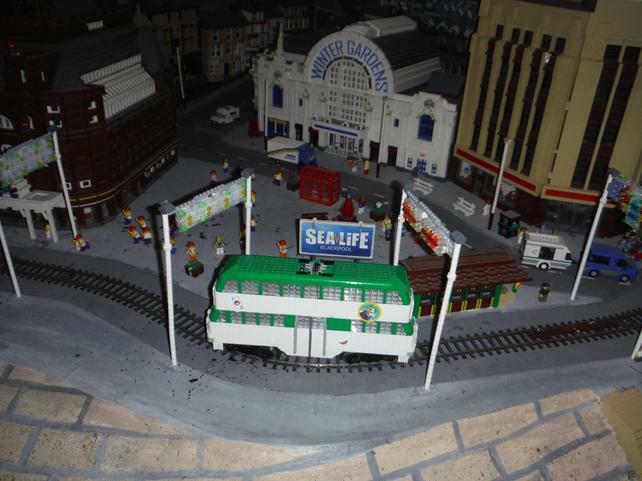 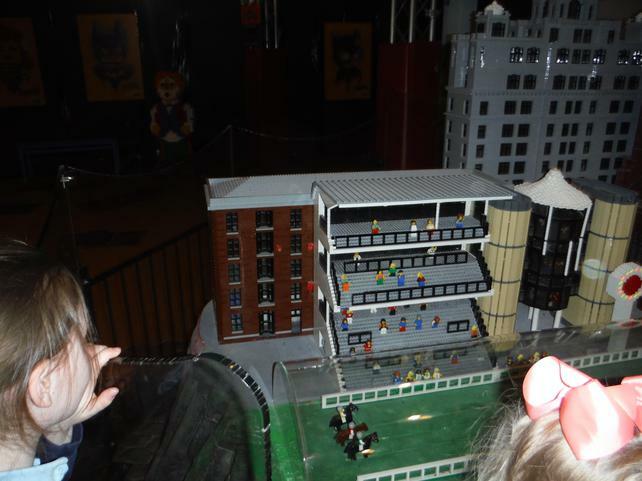 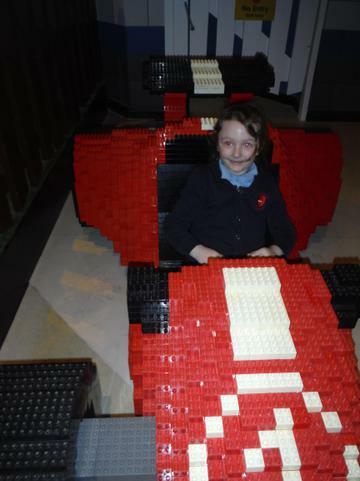 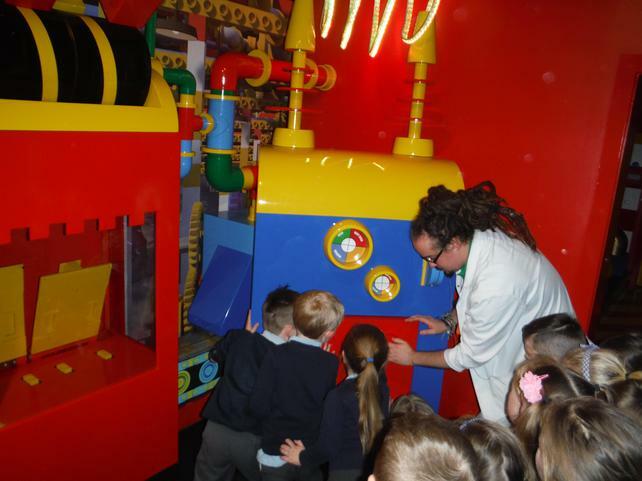 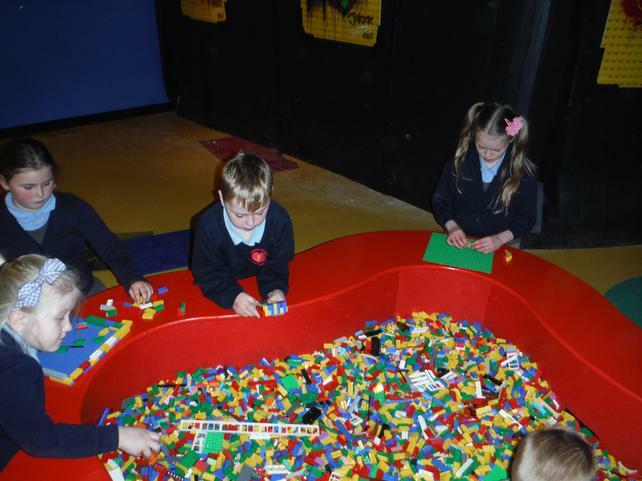 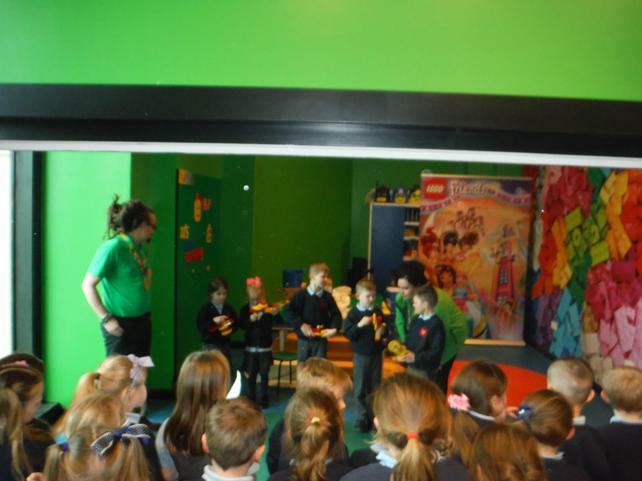 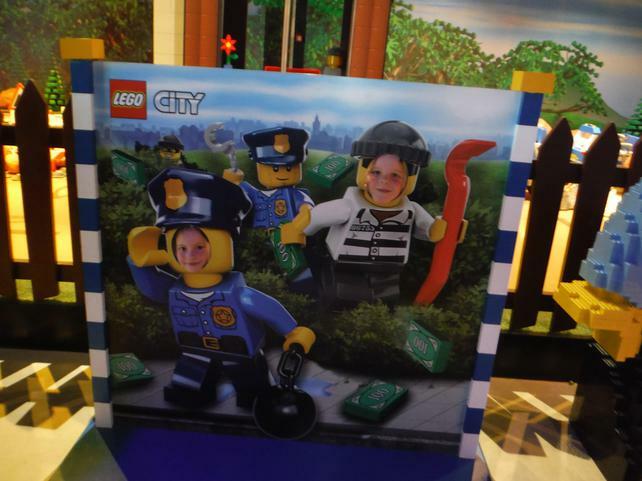 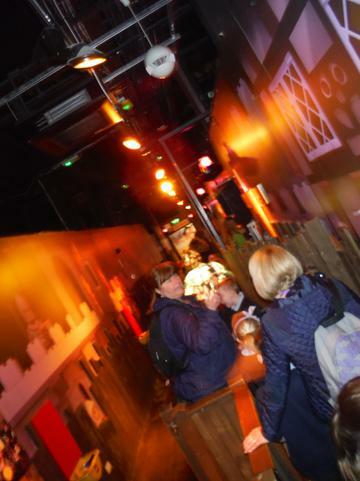 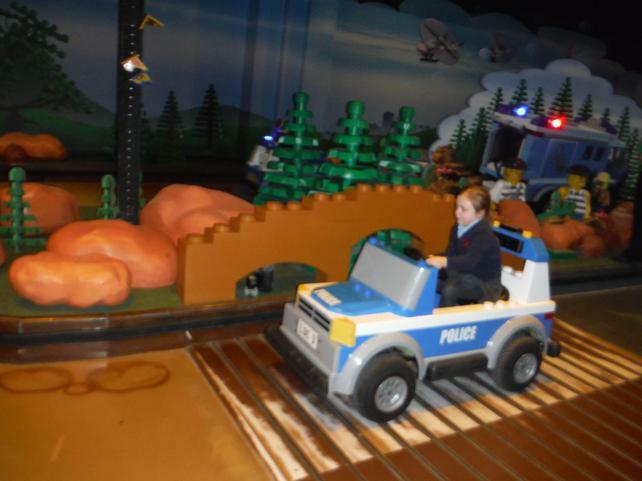 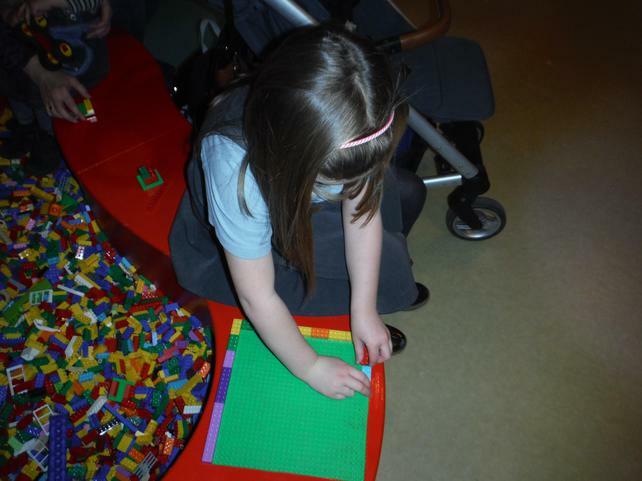 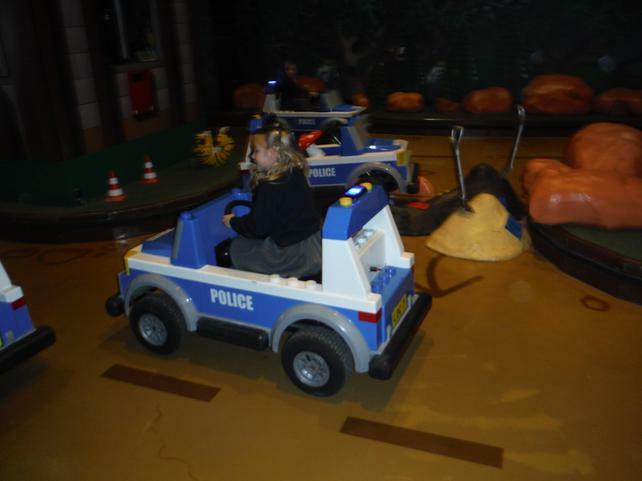 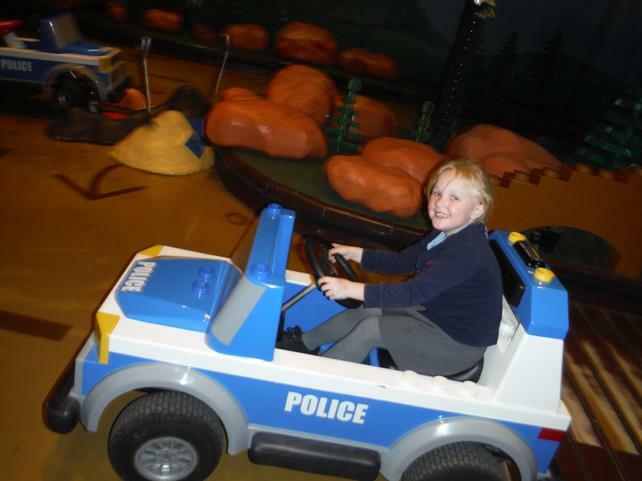 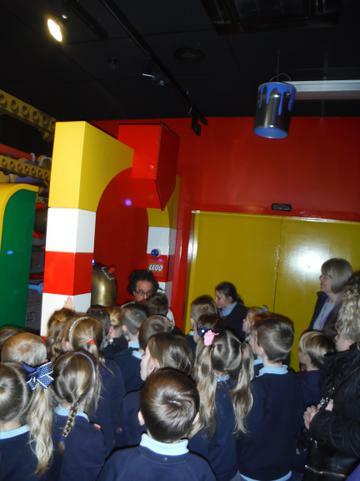 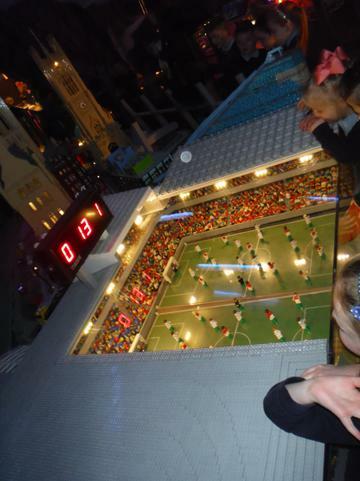 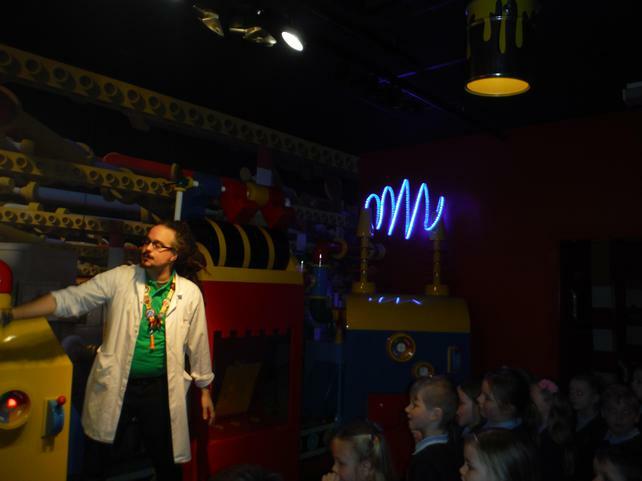 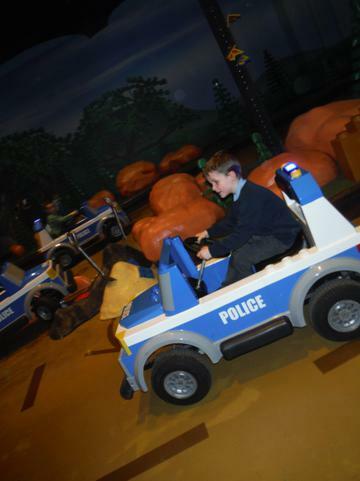 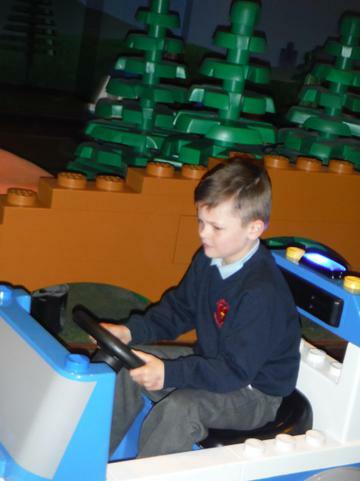 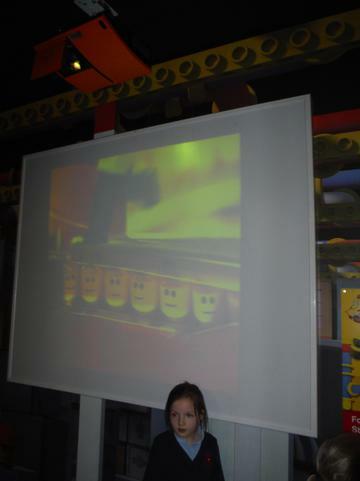 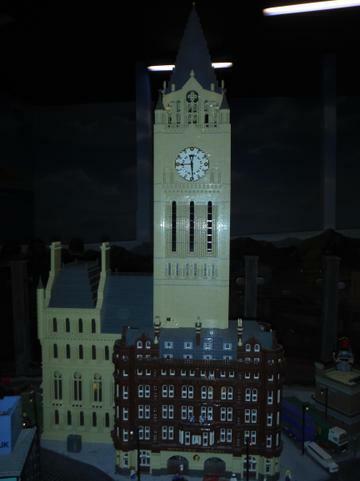 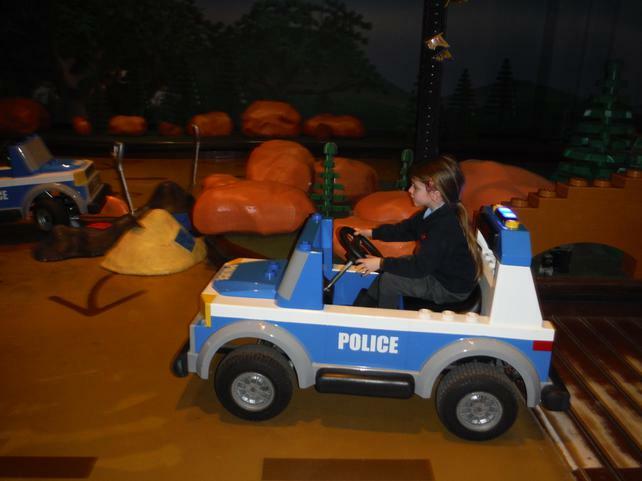 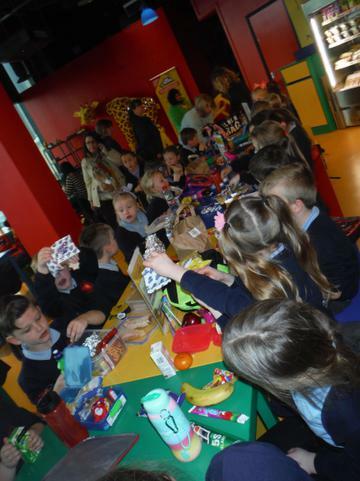 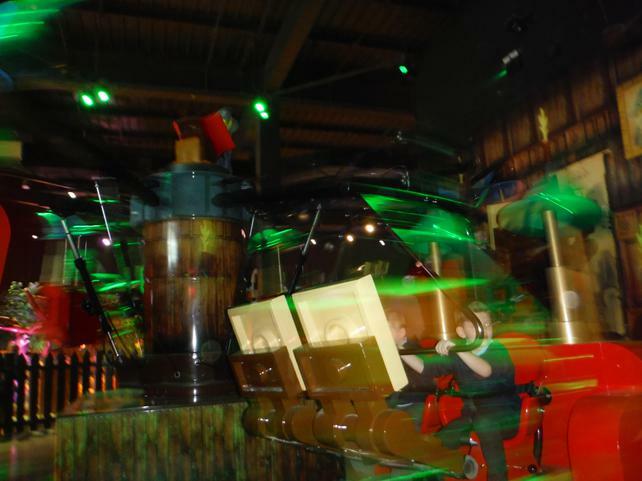 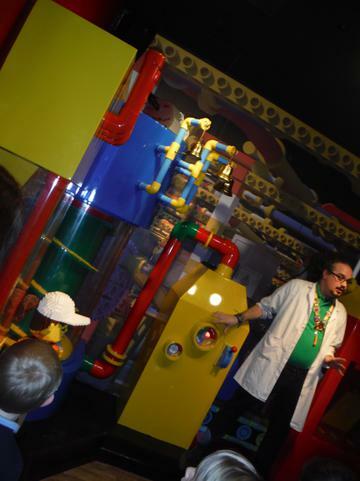 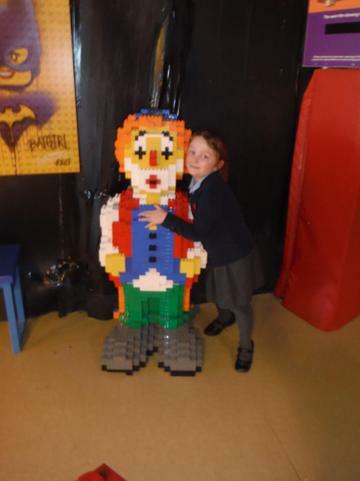 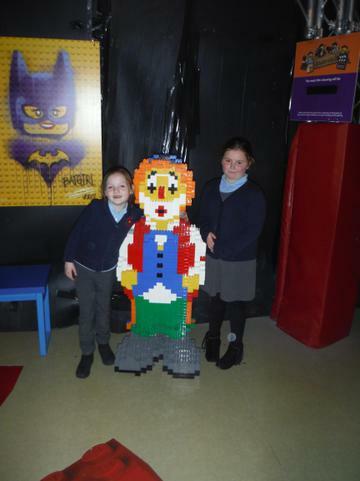 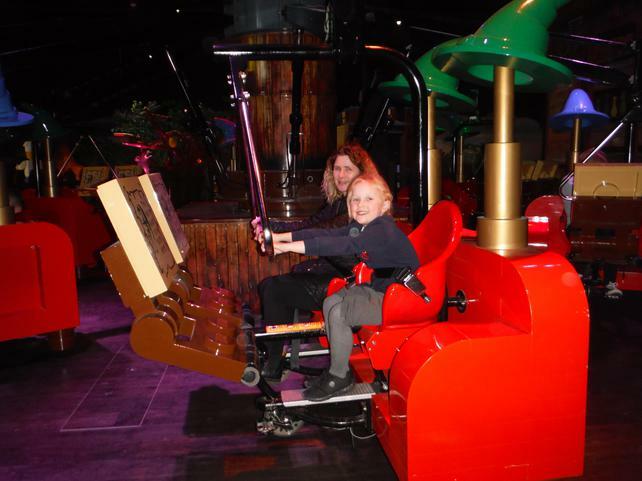 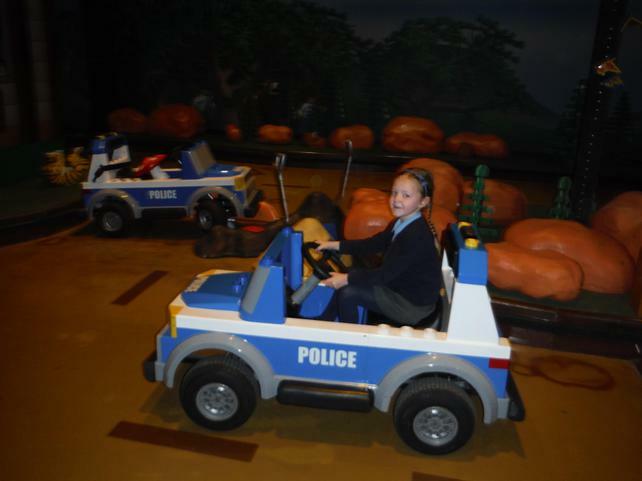 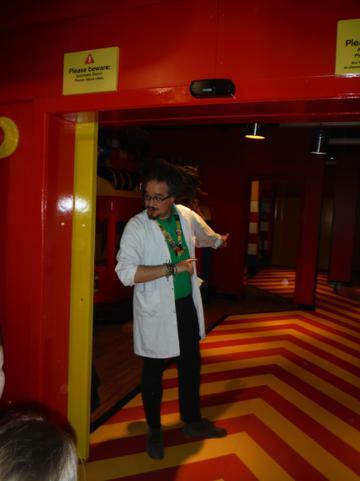 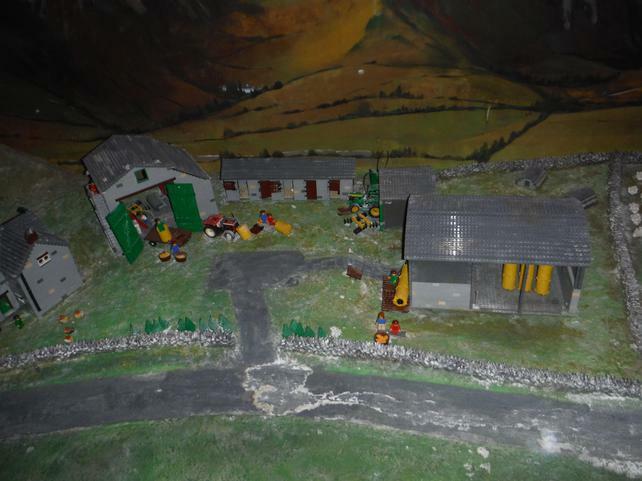 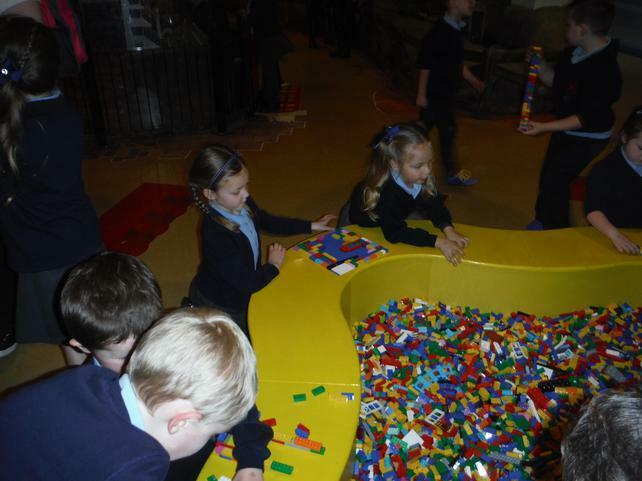 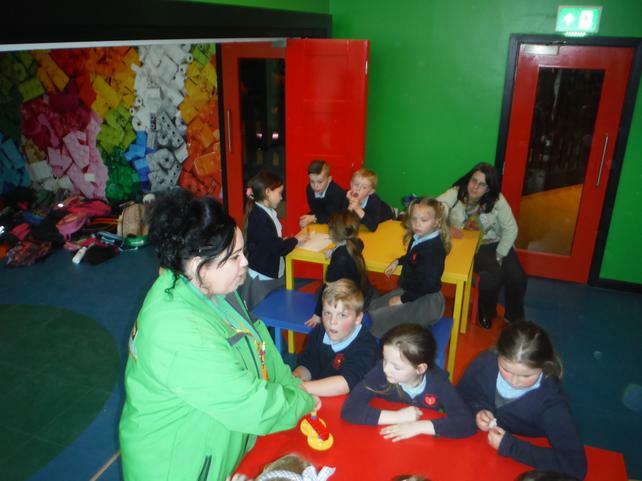 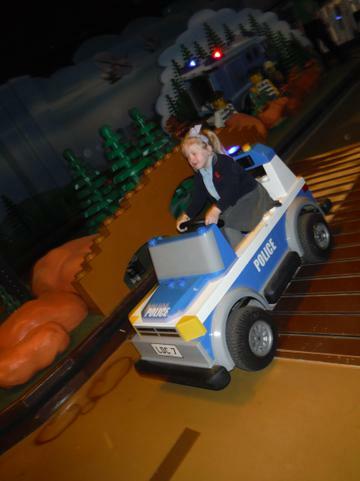 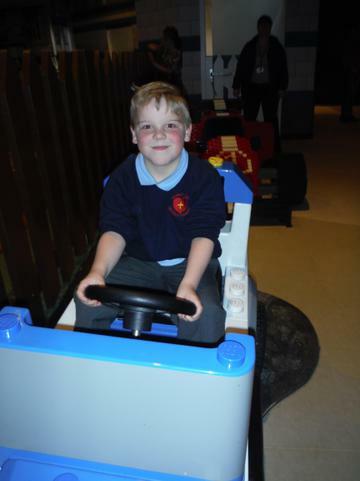 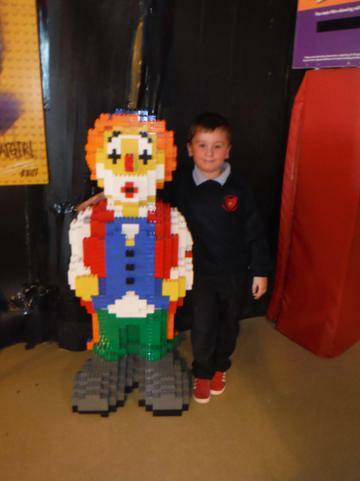 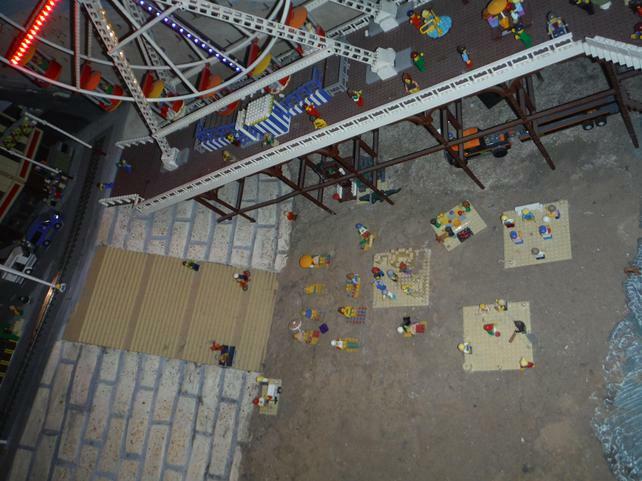 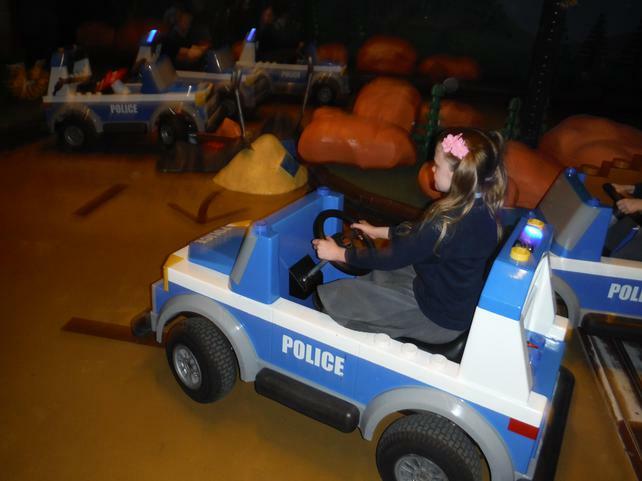 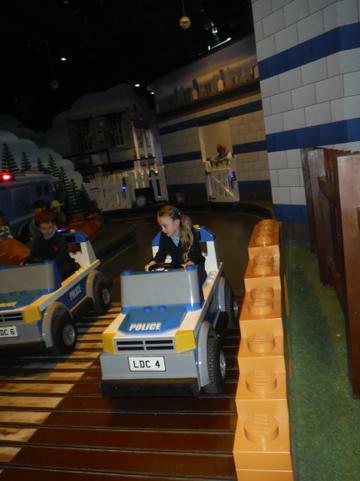 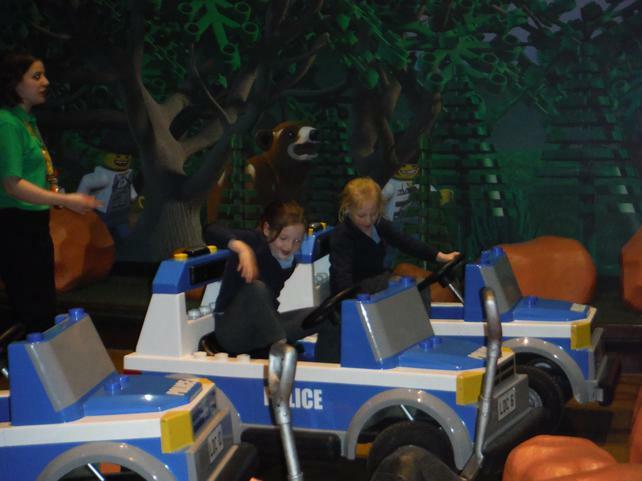 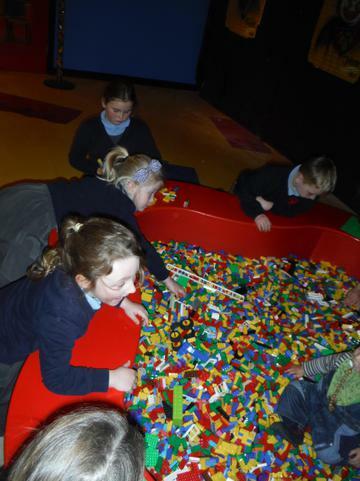 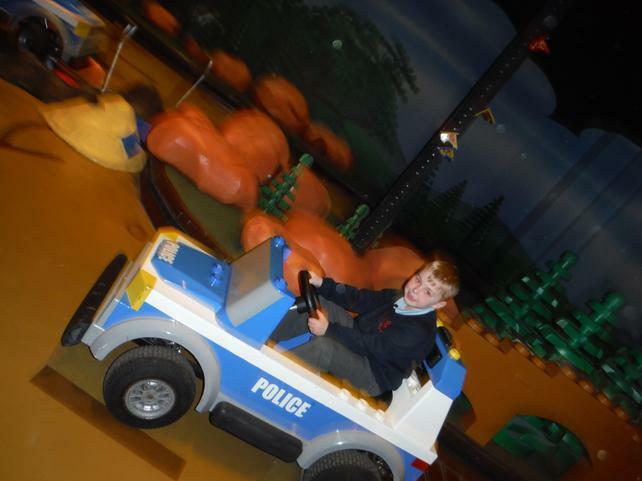 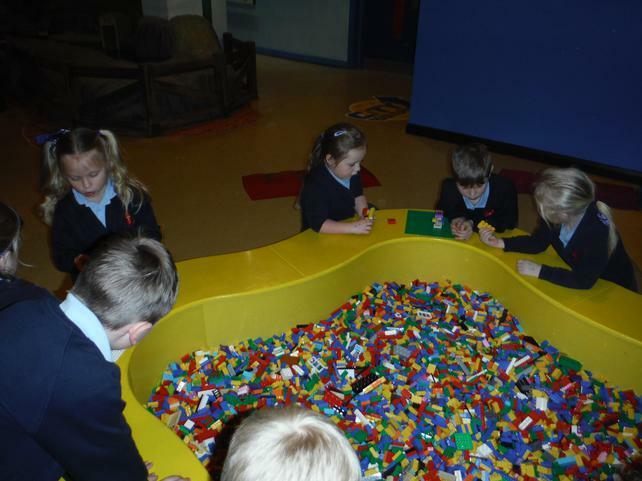 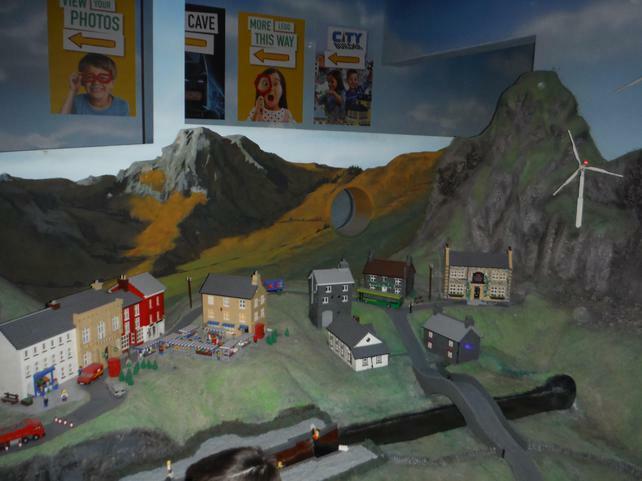 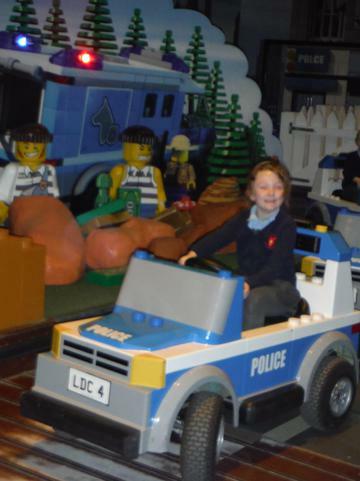 We all went to LEGOLAND discovery centre in Manchester. 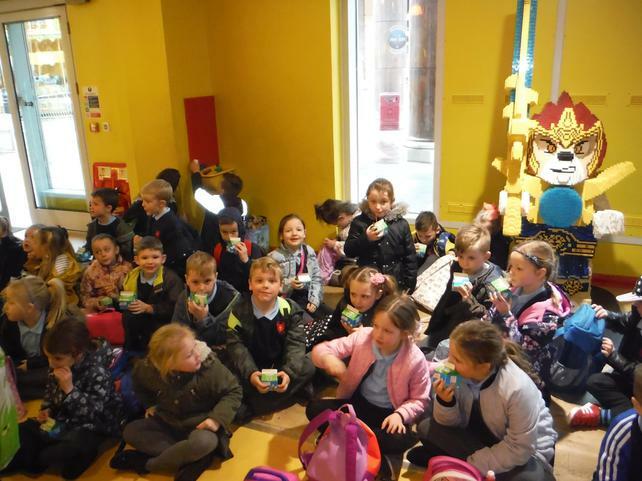 What a day to remember! 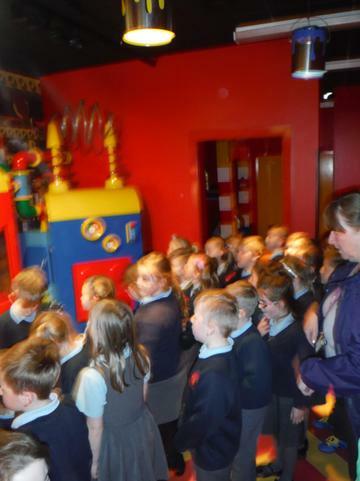 The children enjoyed every moment of the day. 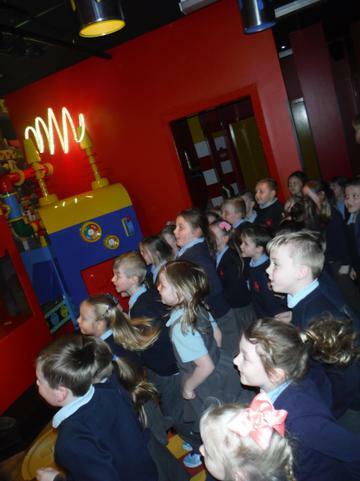 The bus journey took a little longer than the children expected but with a few songs and a few 'Are we nearly there yets?!' 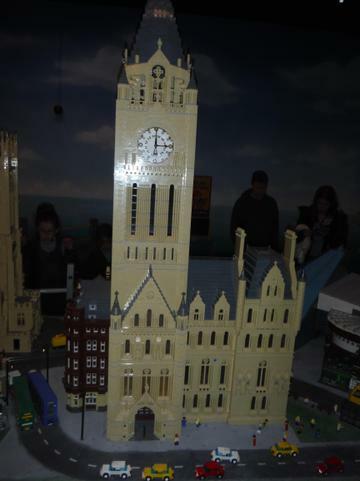 we made it to Manchester. 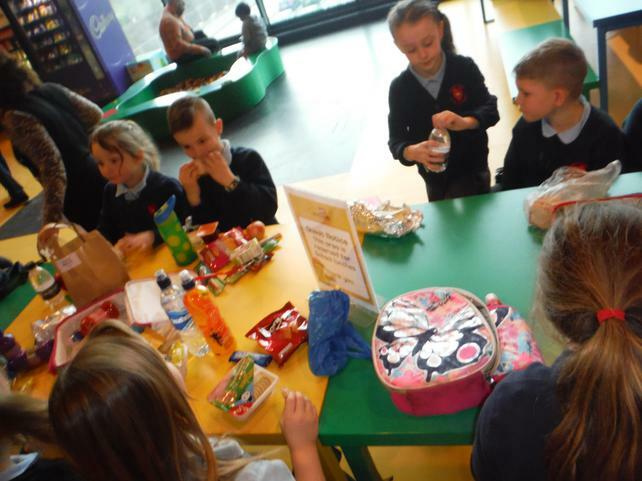 The day started with a quick snack before taking on our adventure. 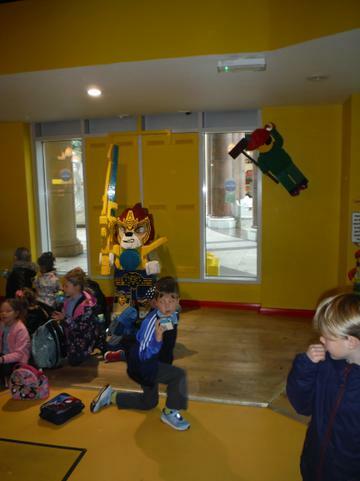 Upon entering the centre the children sat in groups to have an amazing photo taken (we had to purchase these photo's so please feel free to come into class to have a look at them). 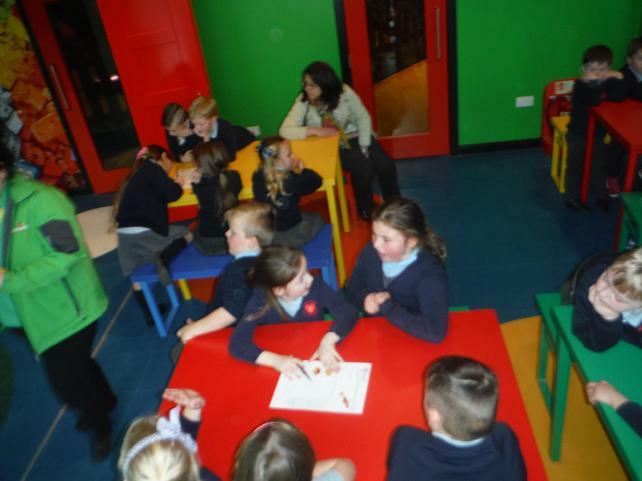 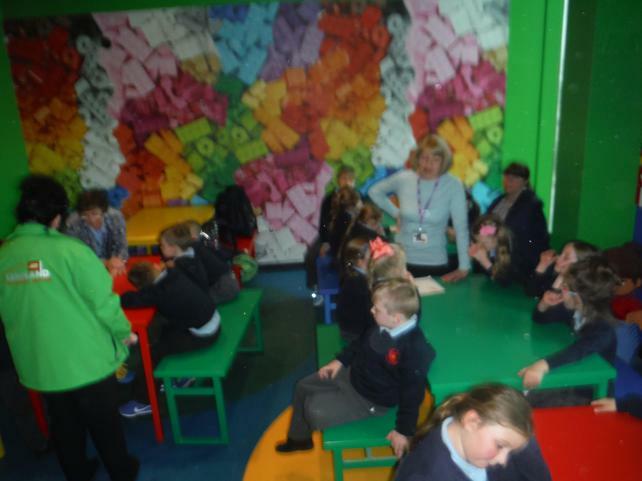 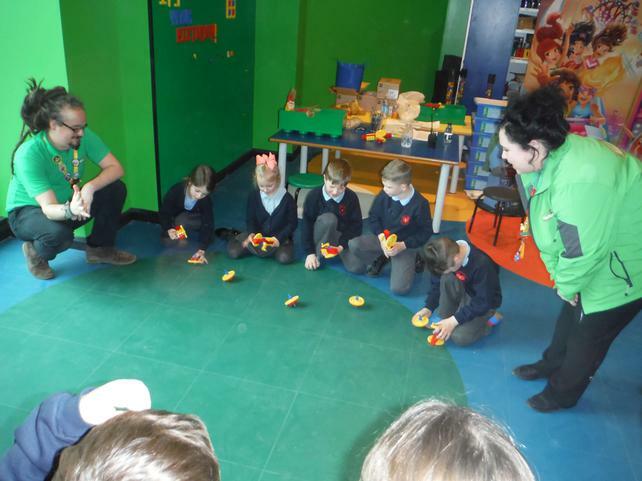 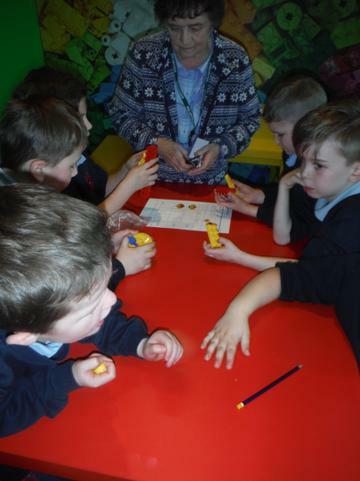 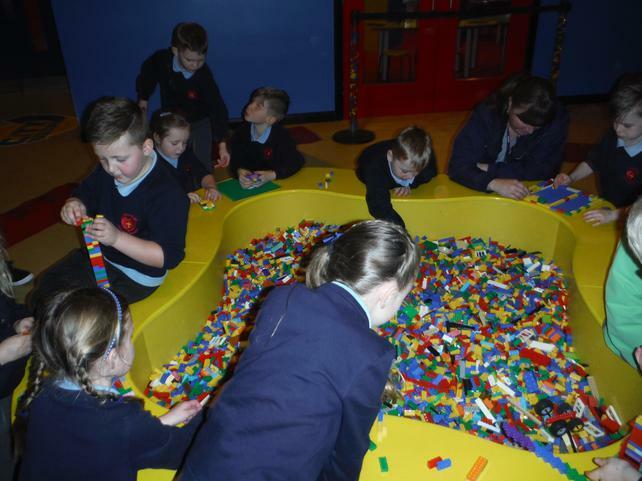 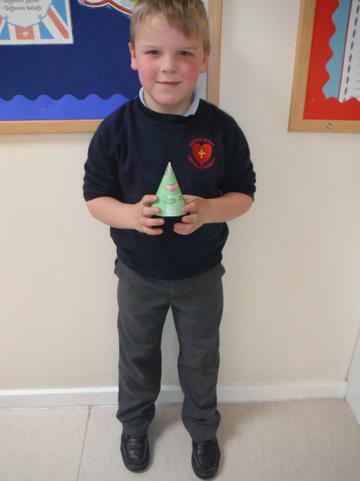 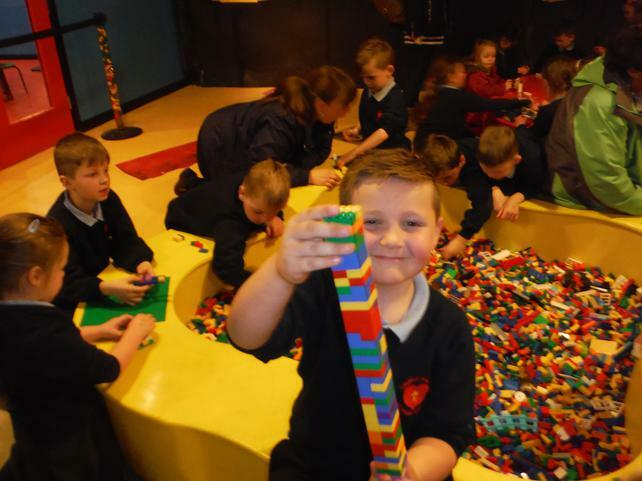 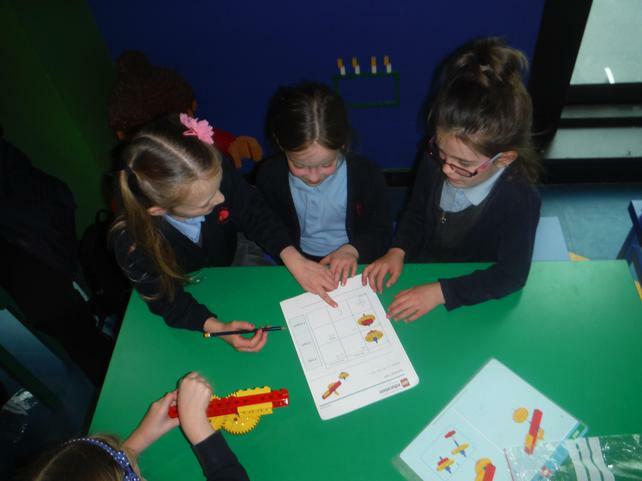 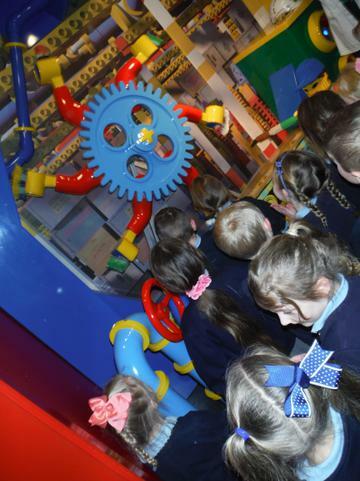 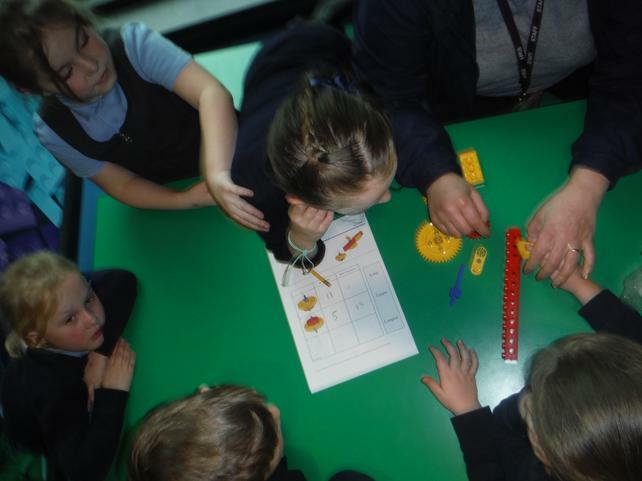 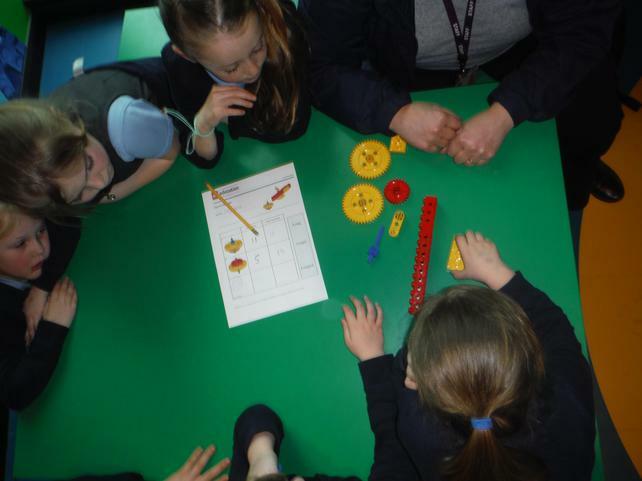 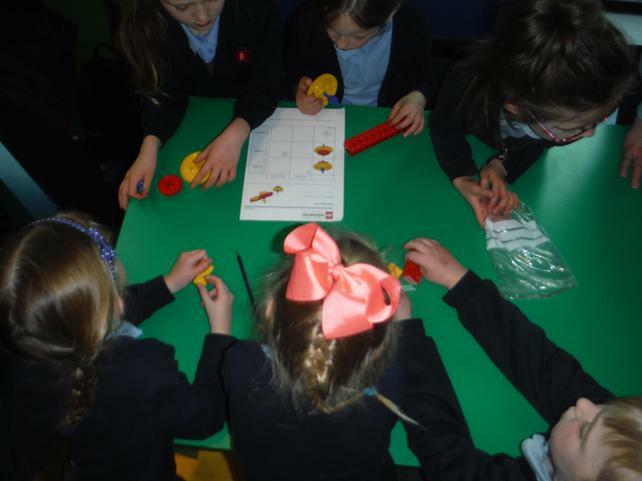 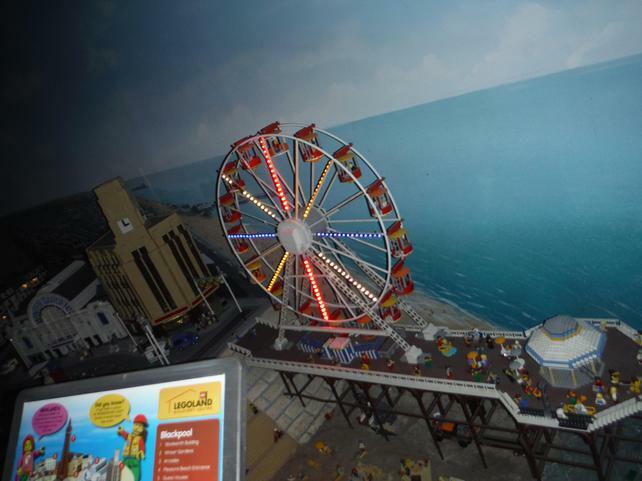 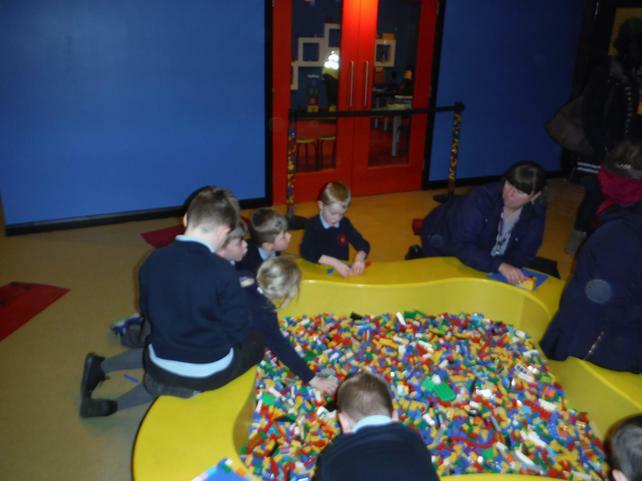 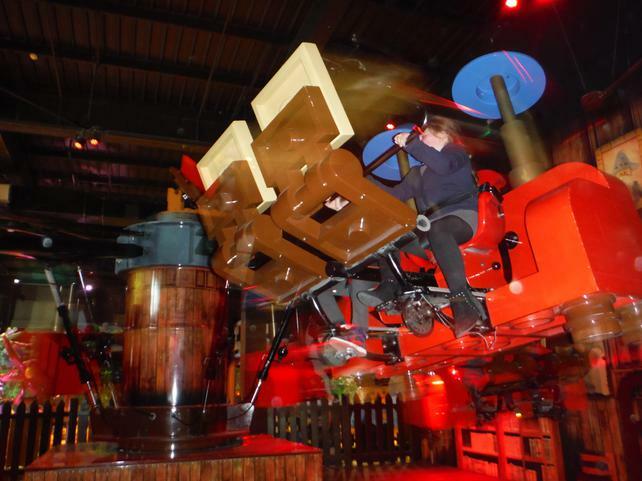 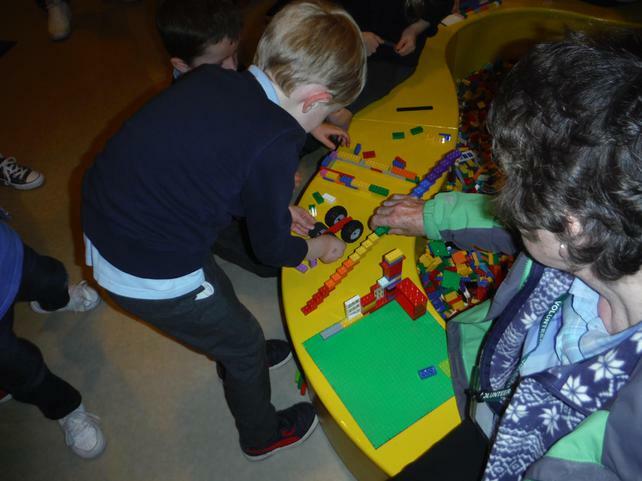 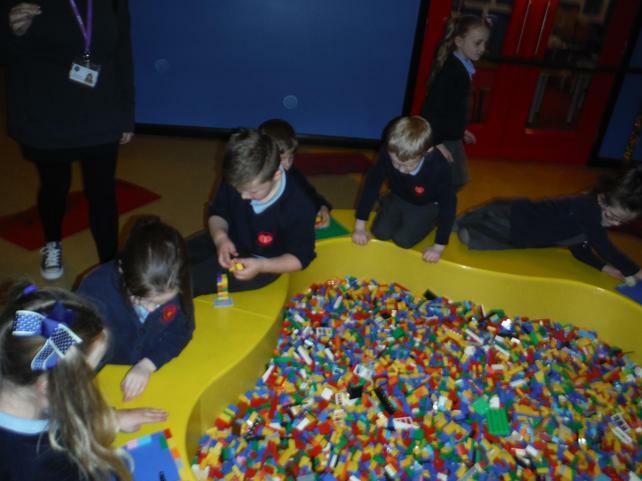 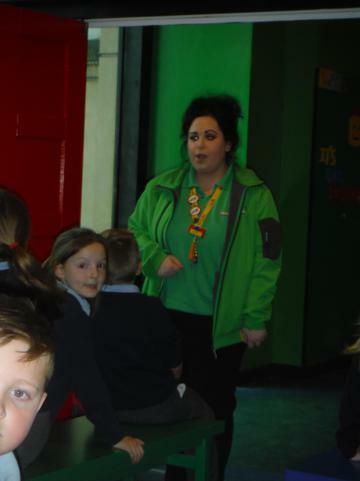 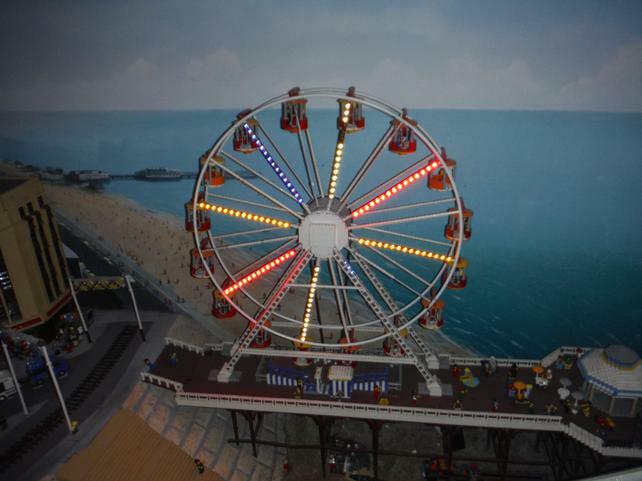 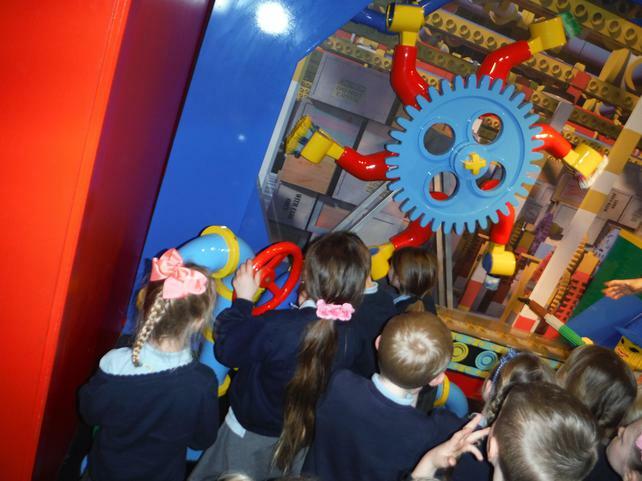 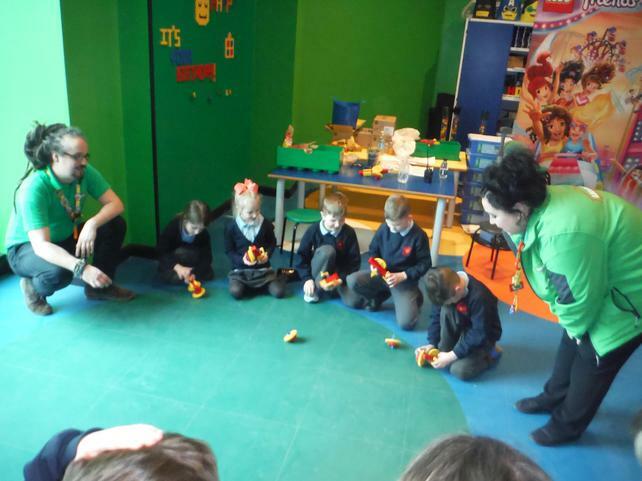 The children enjoyed going on rides, building structures, looking at different Lego cities and took part in an amazing workshop where they had to build a spinning top in groups. 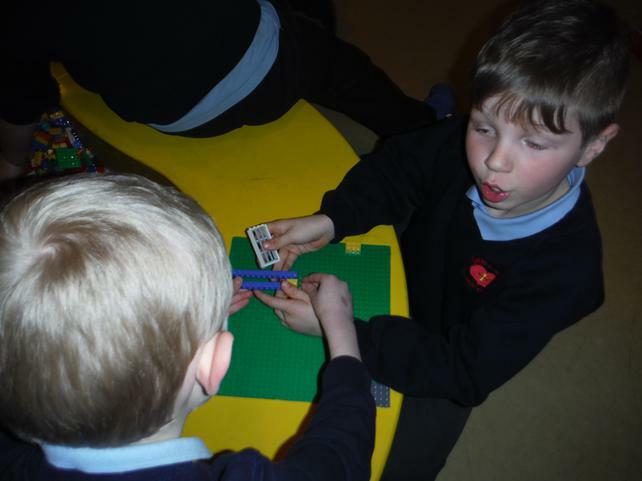 Team work was definitely the key. 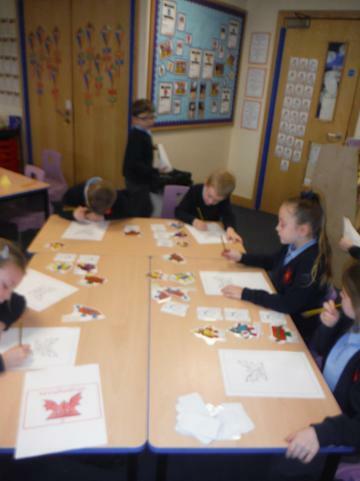 The children of Team Heart worked together fabulously! 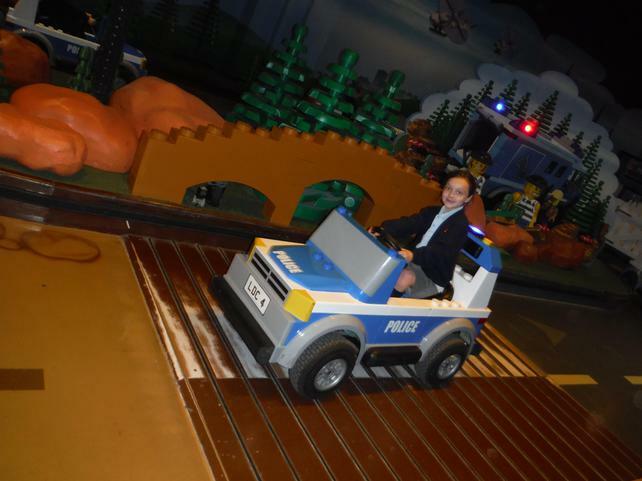 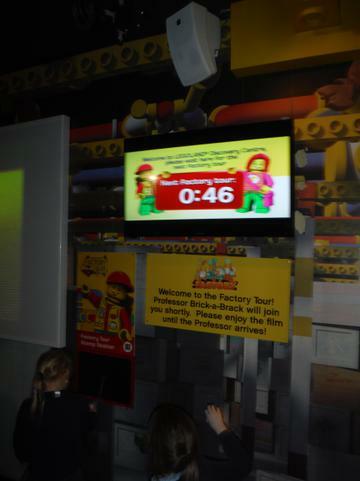 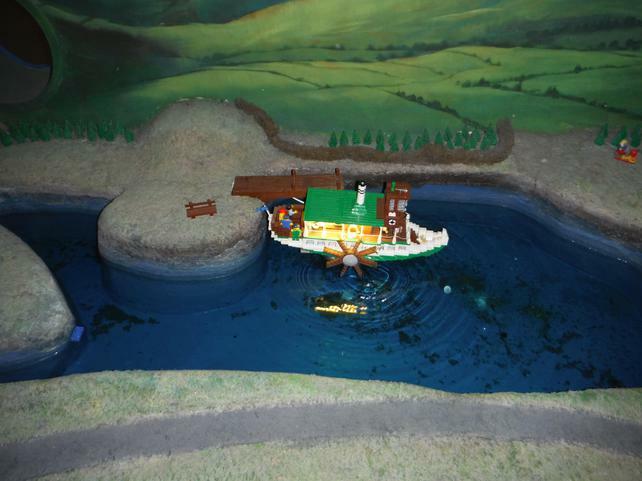 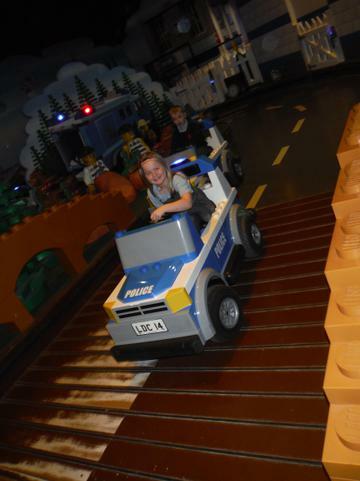 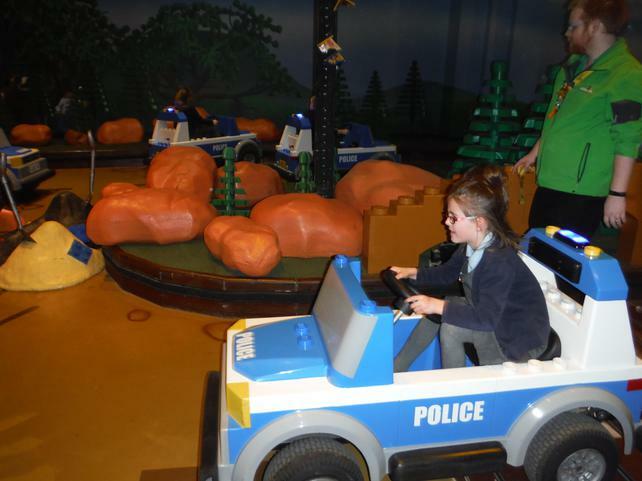 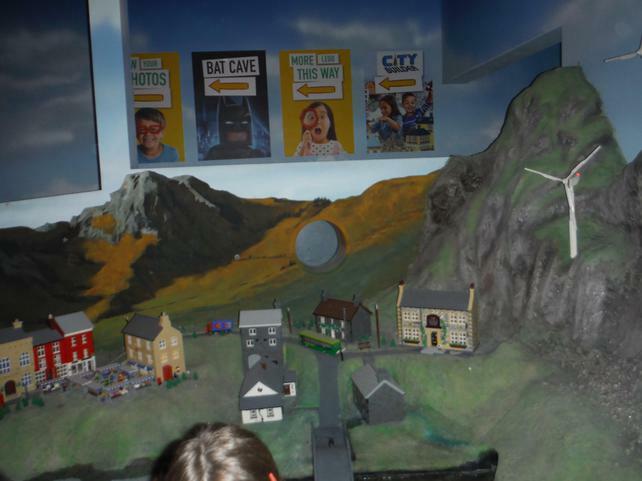 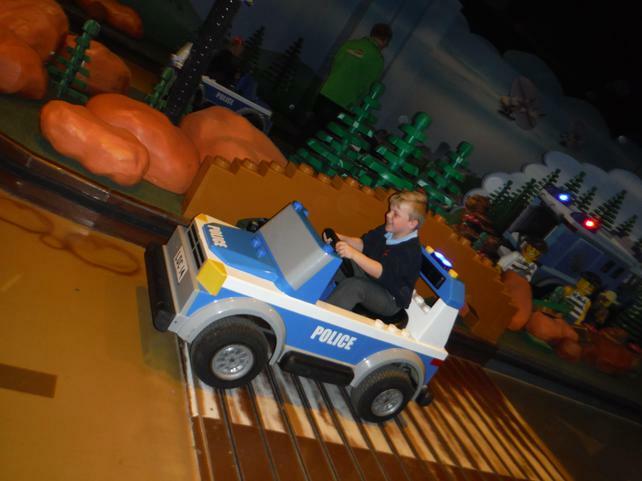 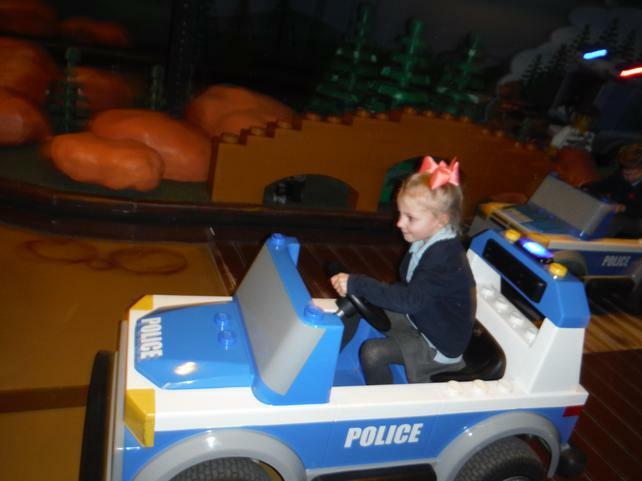 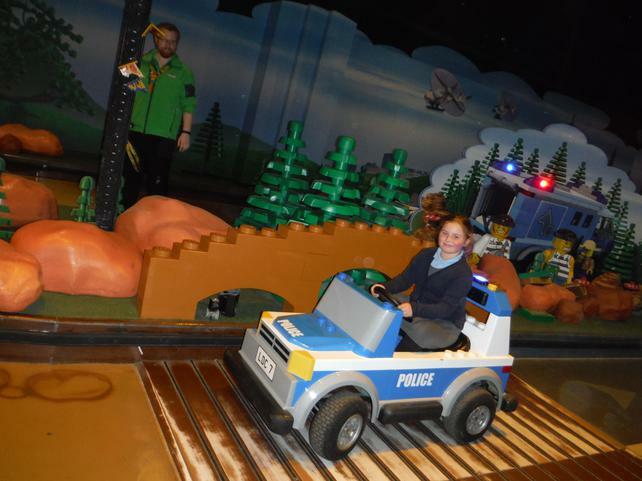 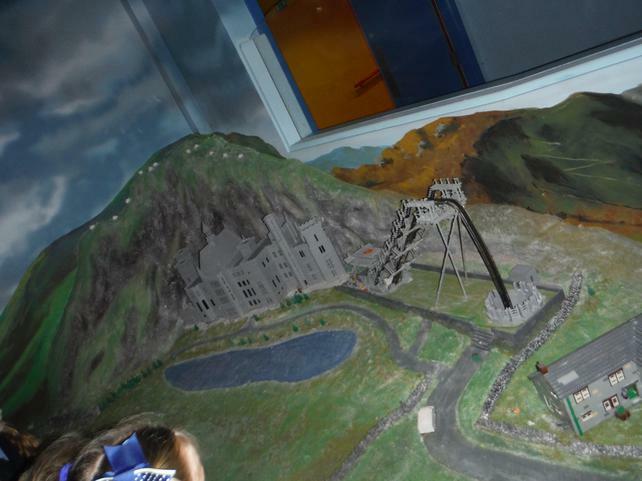 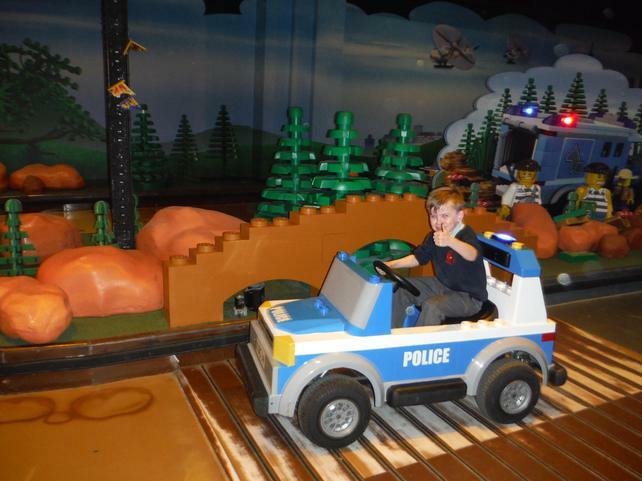 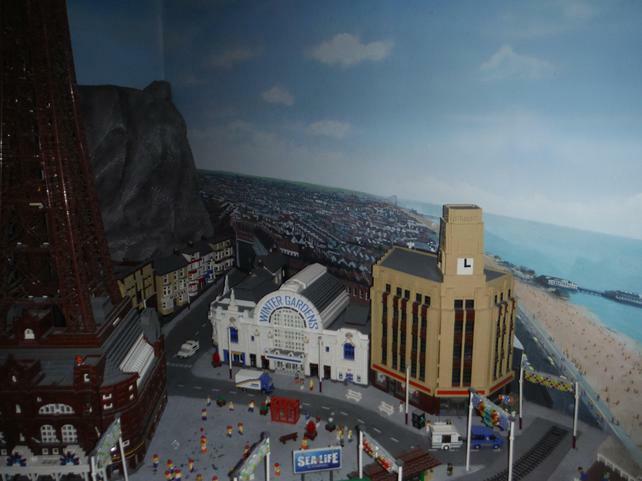 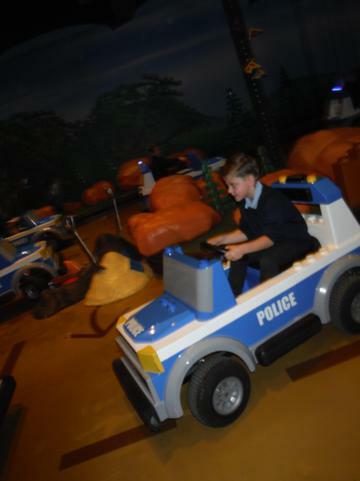 The photos from the day are in the slideshow if you would like to have a look at our amazing adventure to LEGOLAND! 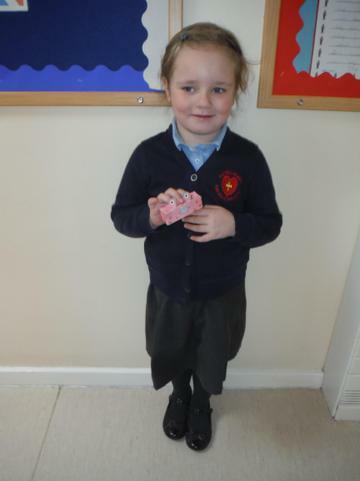 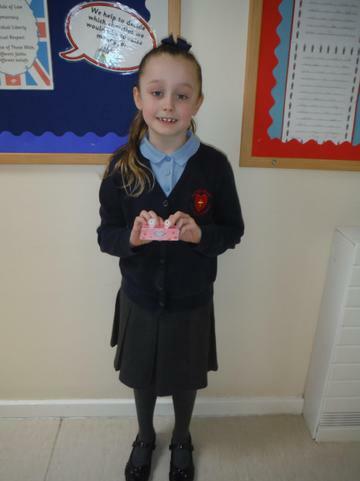 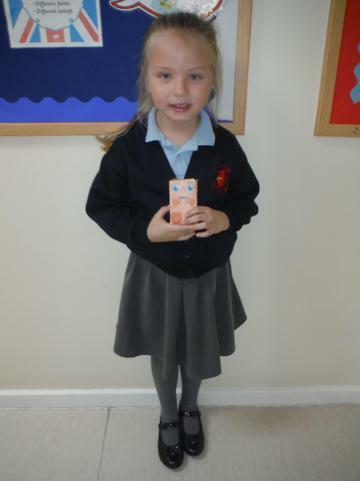 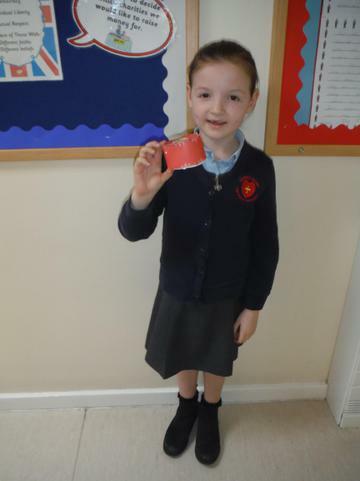 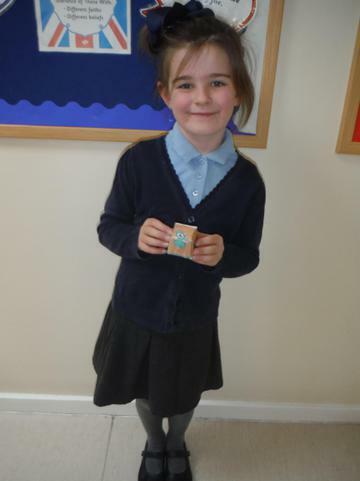 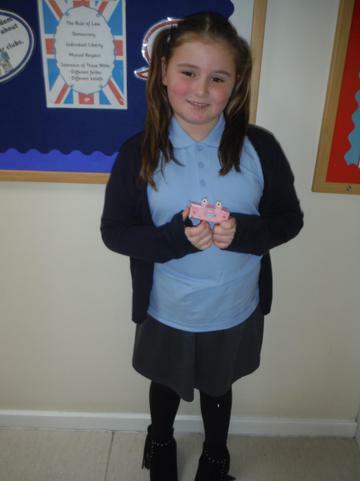 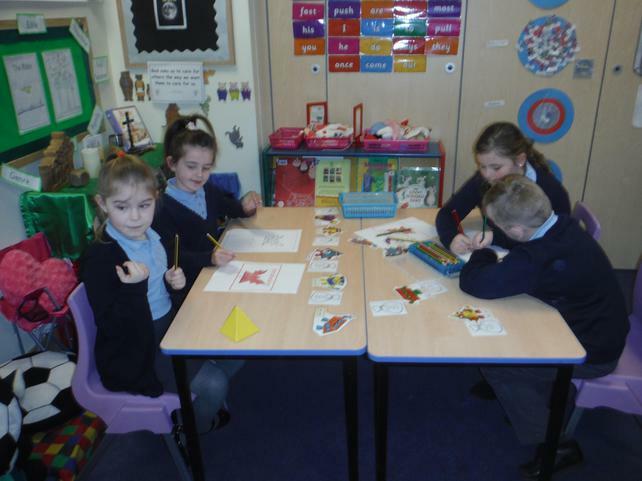 Class 2 have had a very busy week this week. 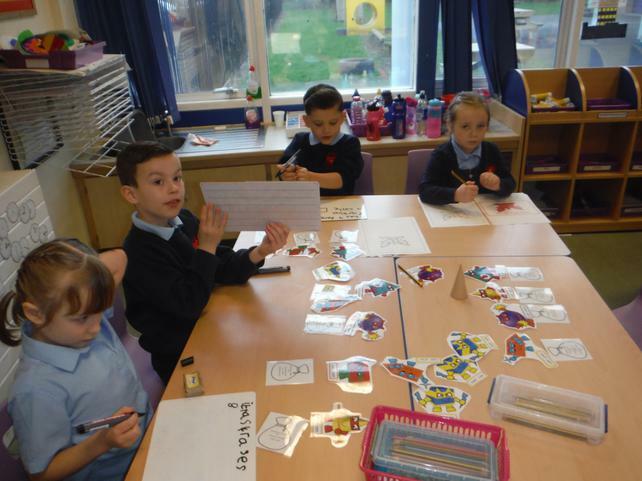 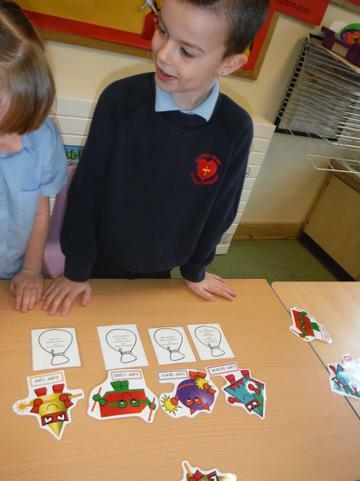 We have been continuing our learning about sentence types and have used these to write different pictures and stories. 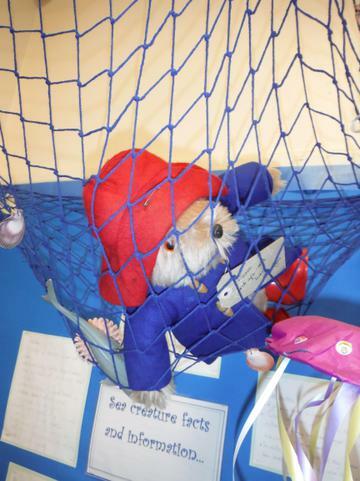 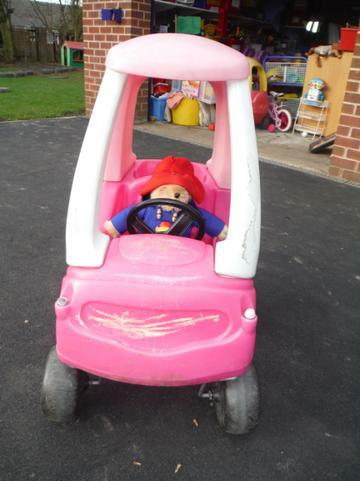 Next week we are using our new topic 'Bright Lights, Big City' to begin our learning about London using a very friendly bear called Paddington. 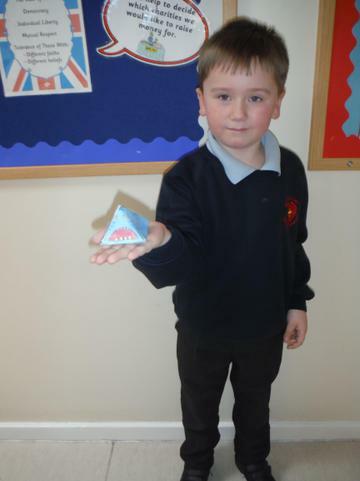 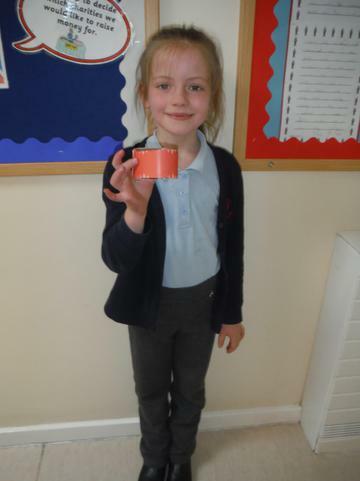 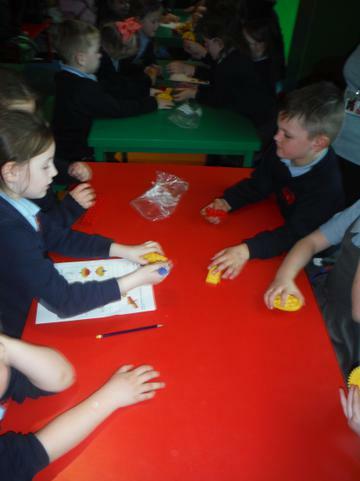 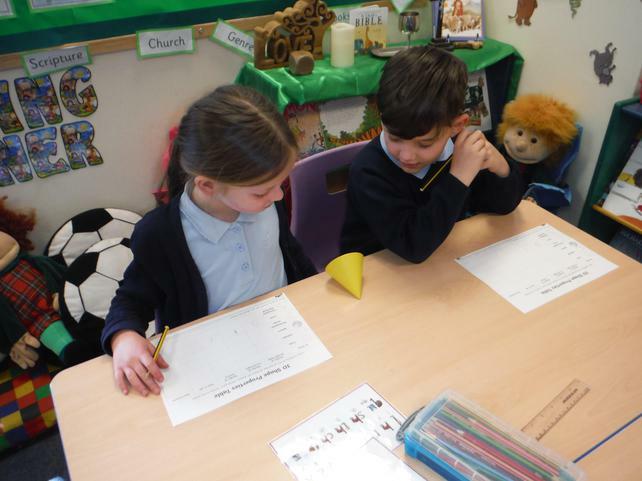 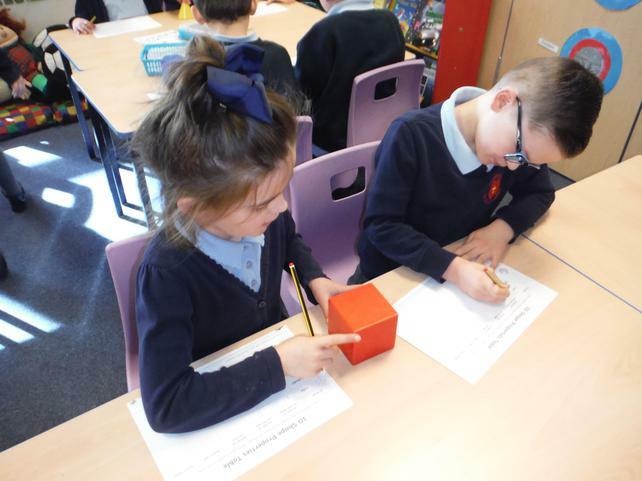 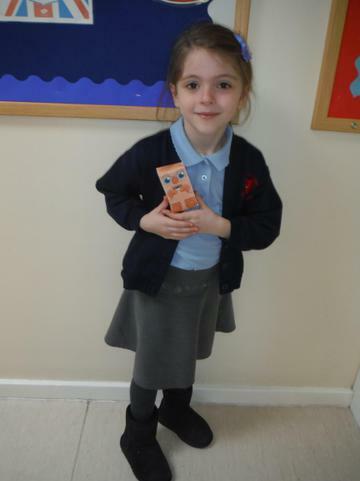 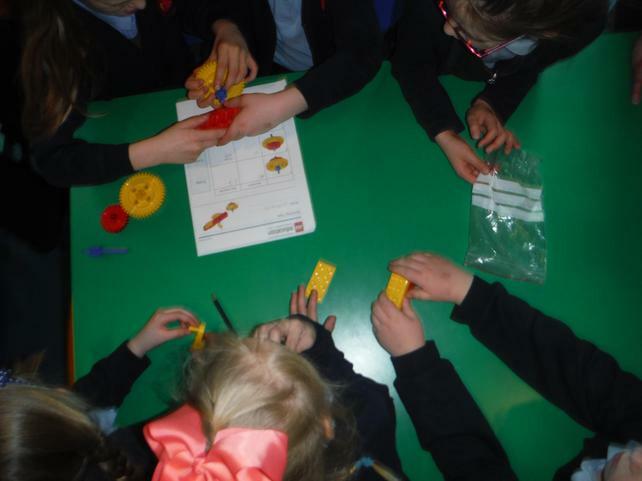 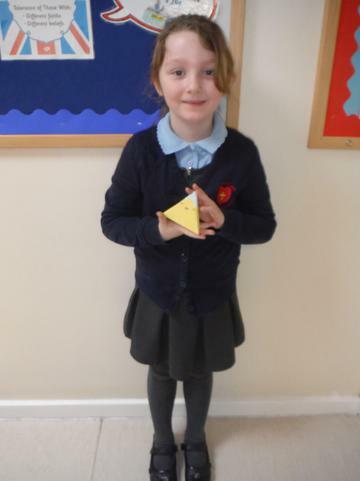 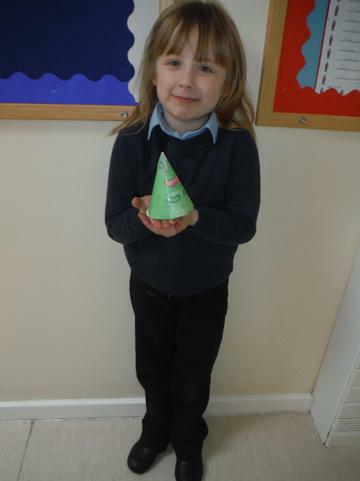 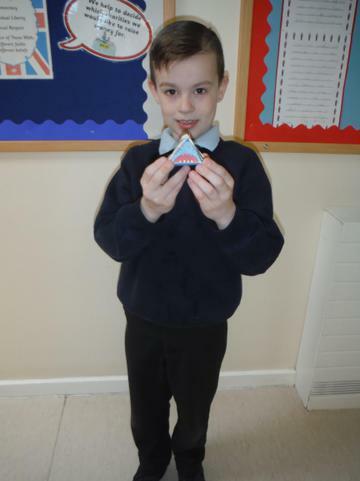 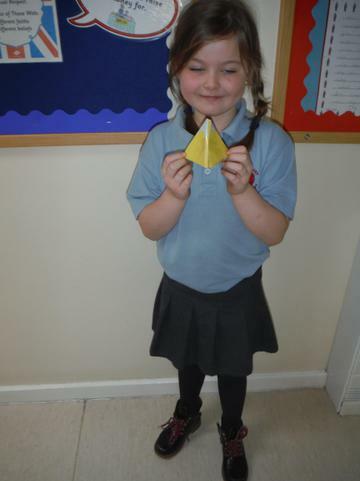 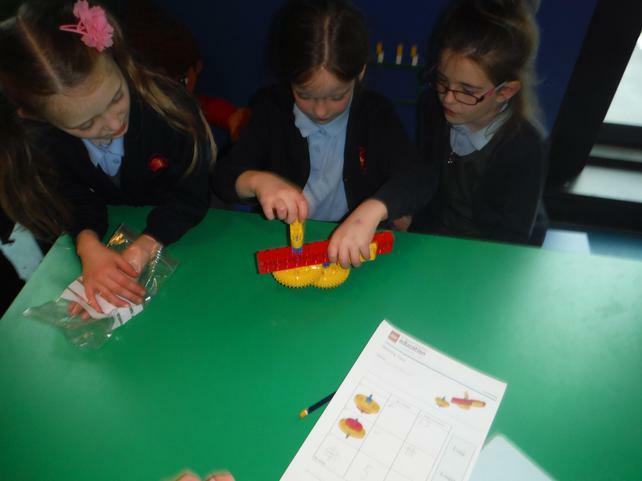 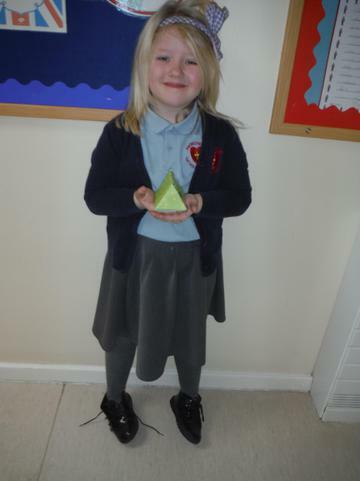 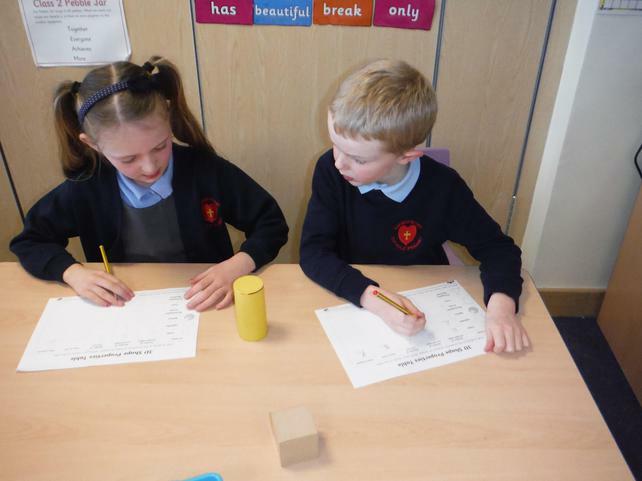 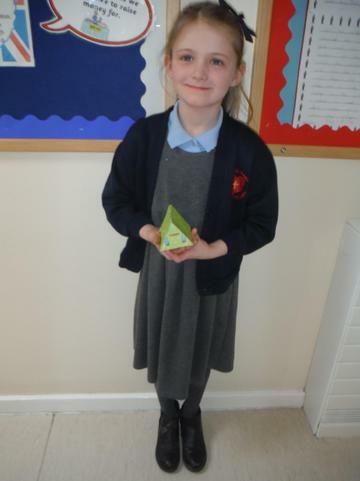 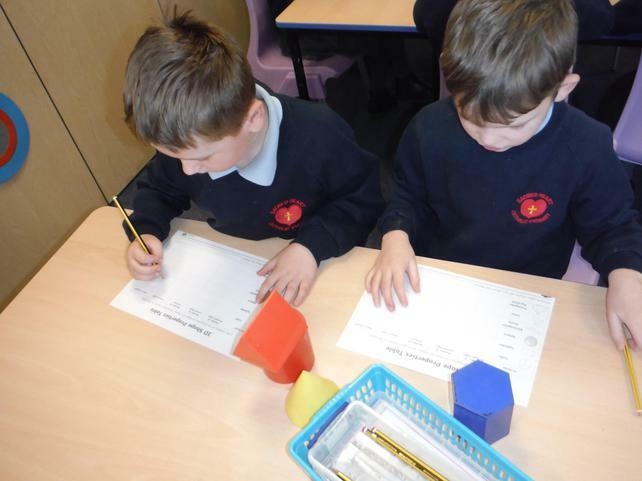 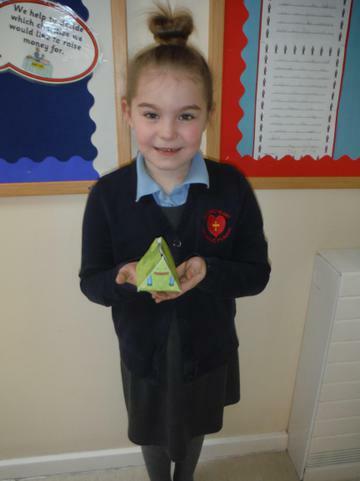 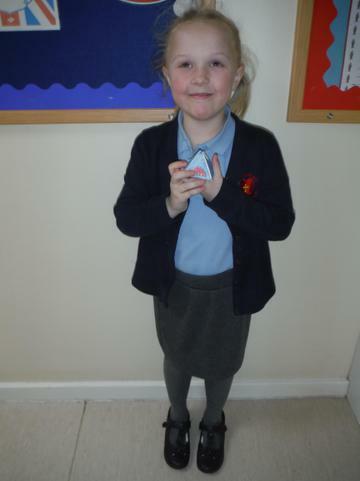 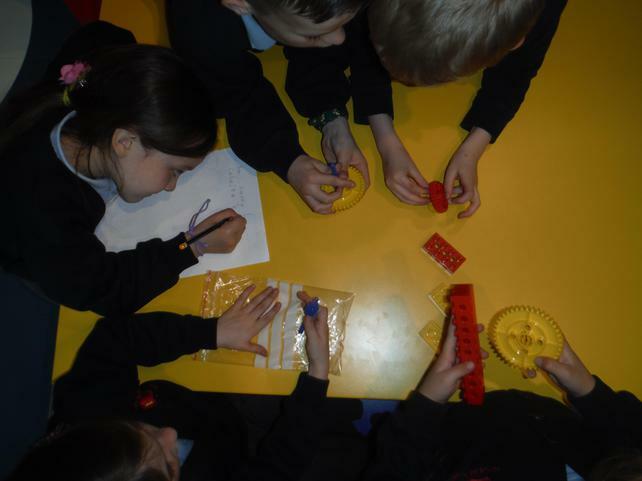 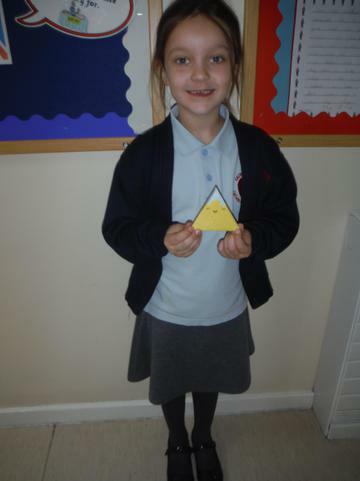 In Maths this week, we have thought about 3D shapes. 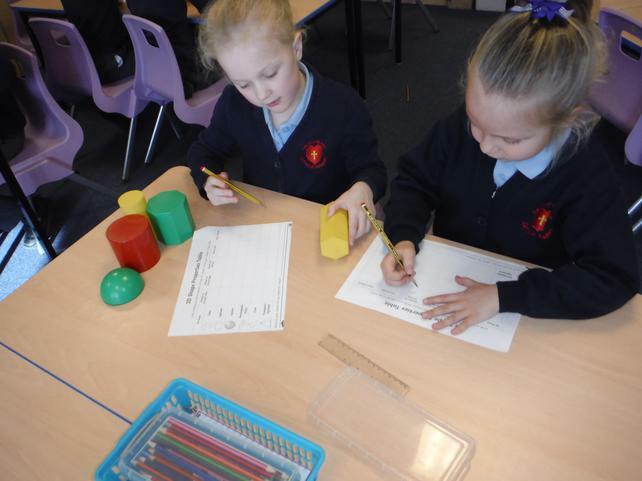 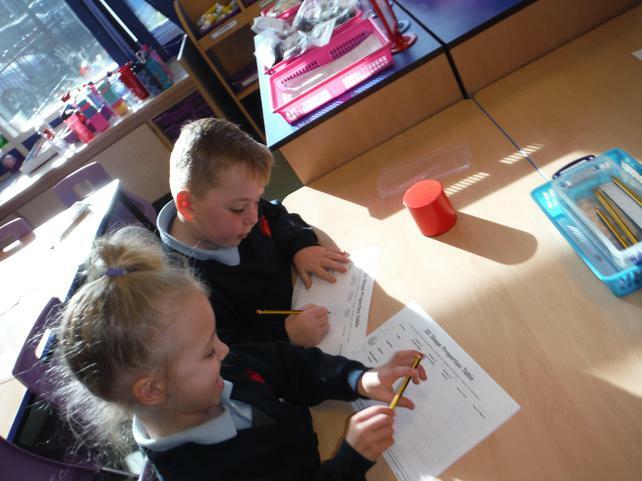 We have identified and listed properties of the shapes and made our 3D shapes after exploring different nets. 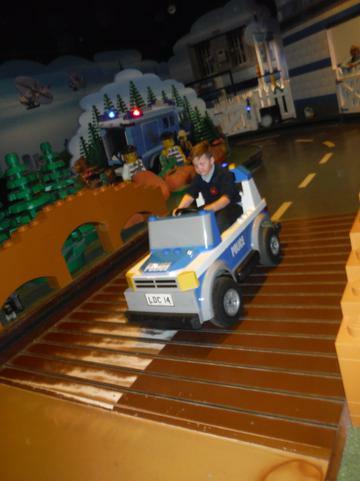 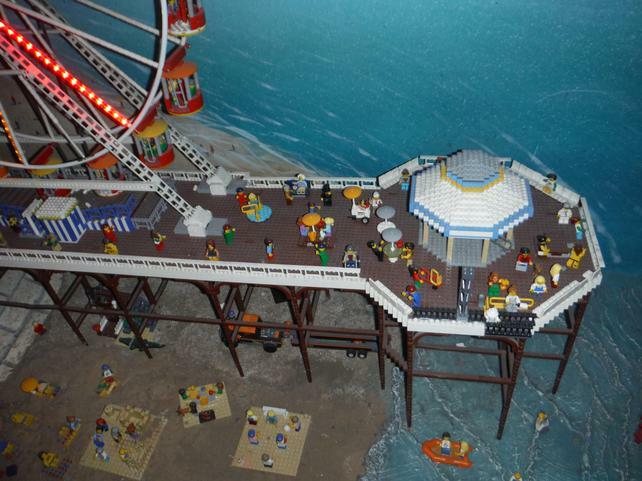 Next Friday is our class trip to LEGOLAND! 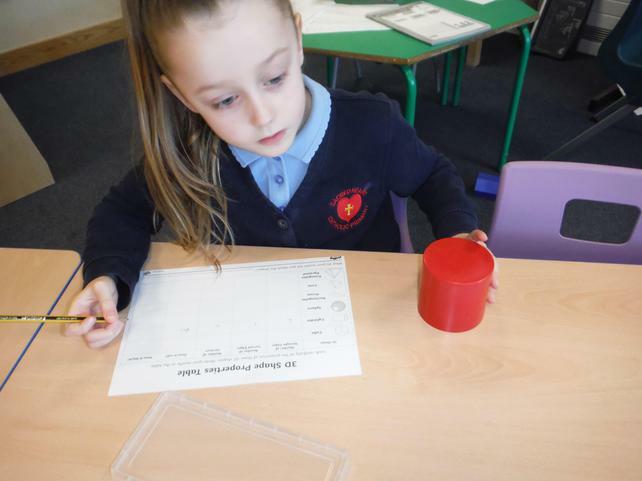 Make sure you have reminder letter of all the important information needed for the day. 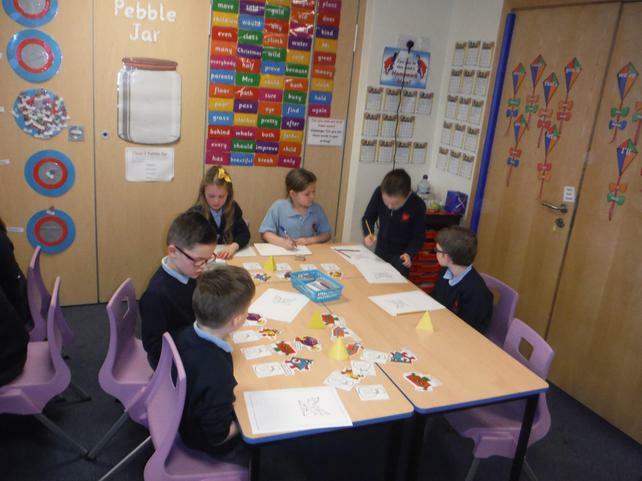 What a busy week in Class 2! 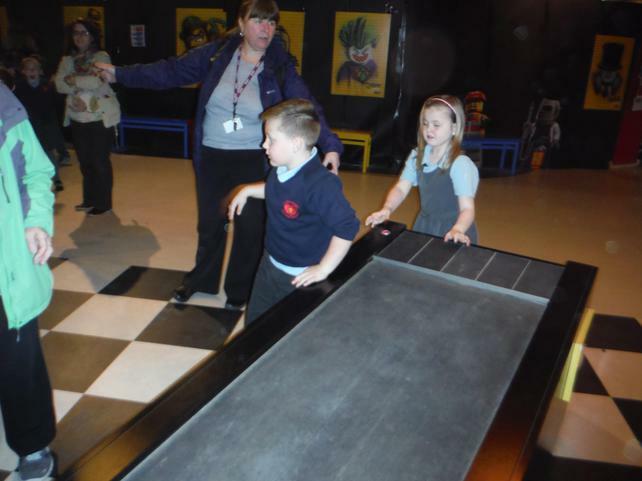 We have had a fantastic week doing a lot of different themed activities. 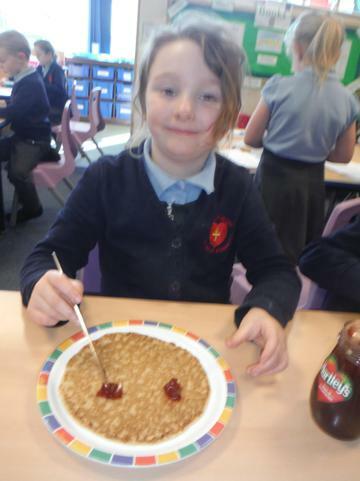 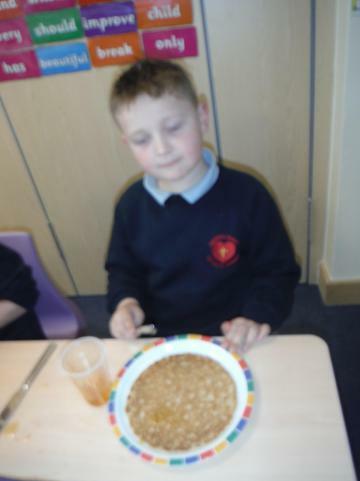 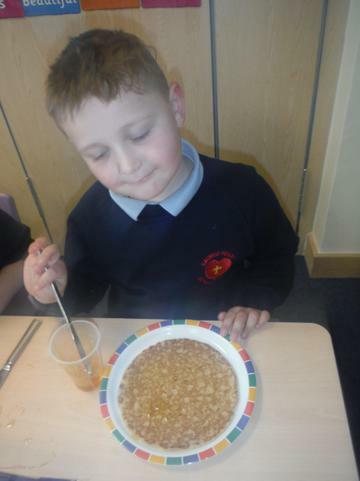 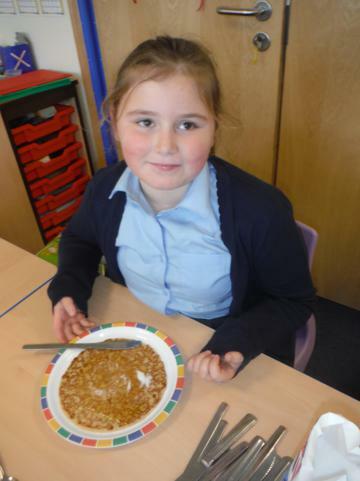 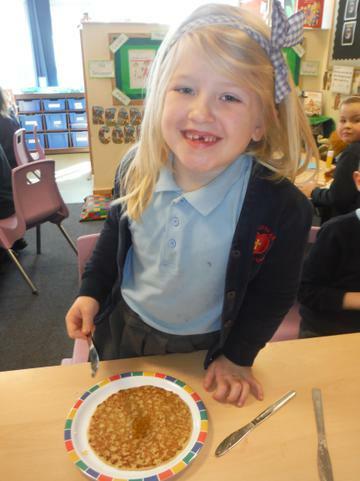 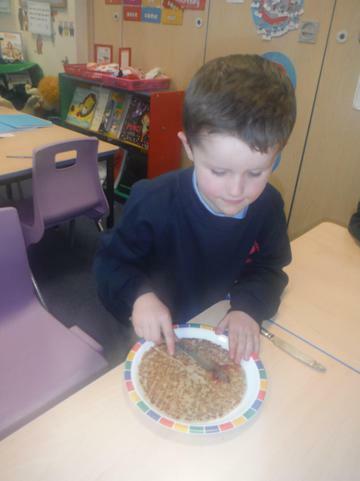 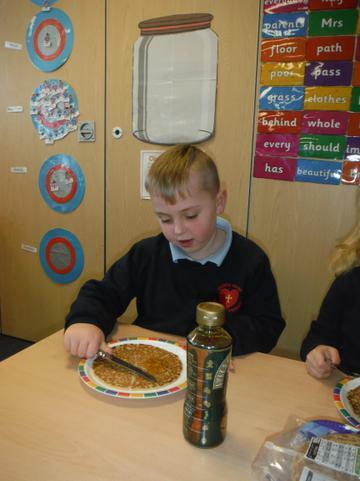 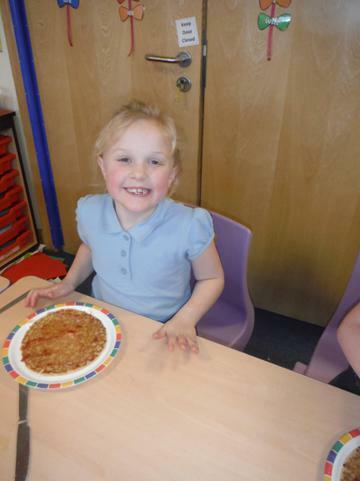 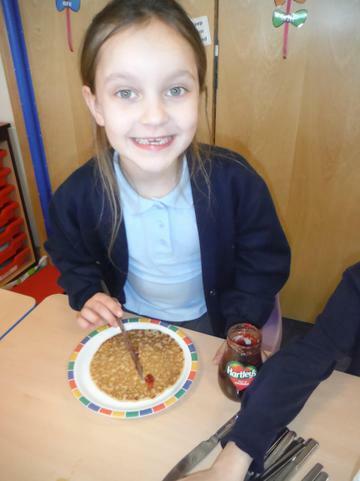 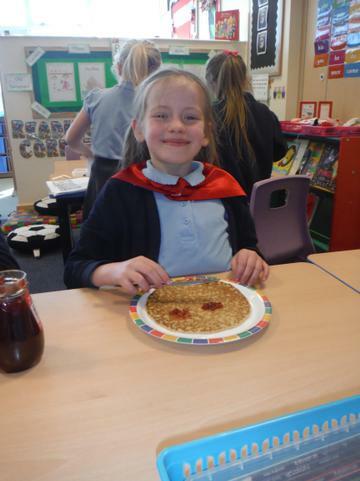 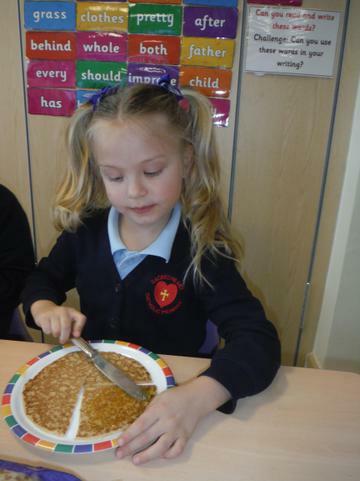 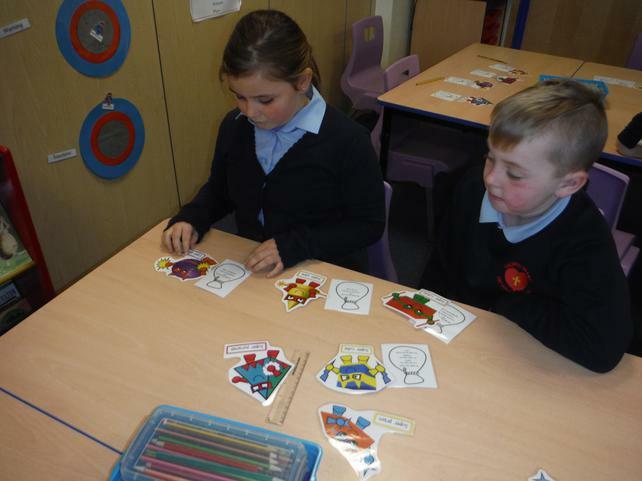 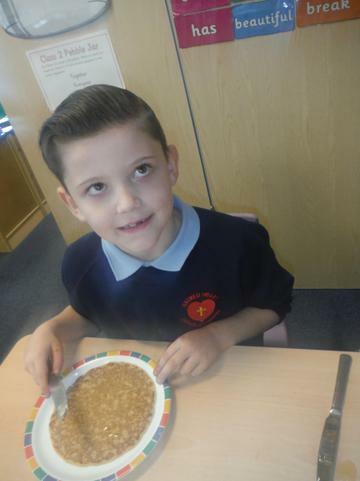 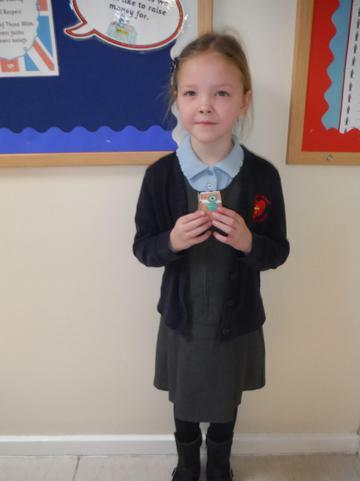 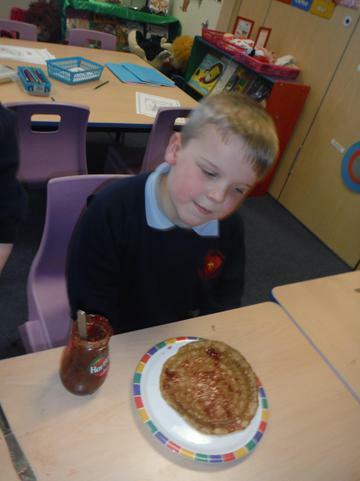 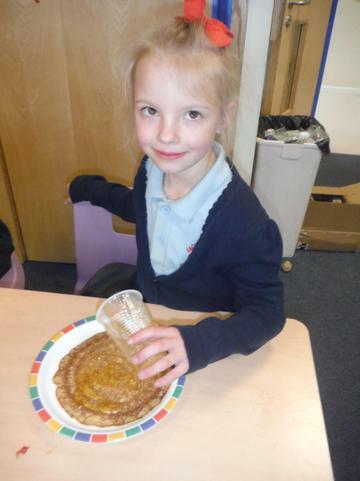 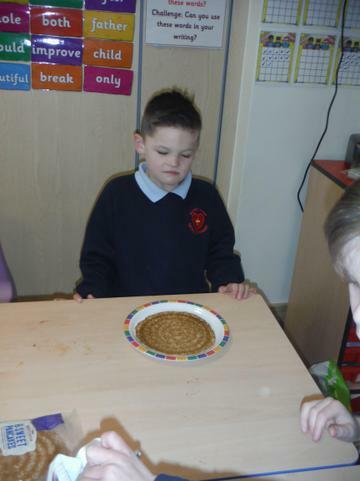 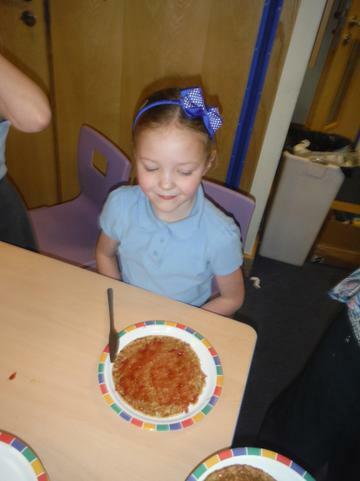 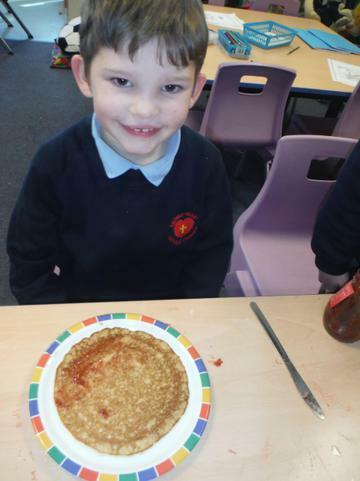 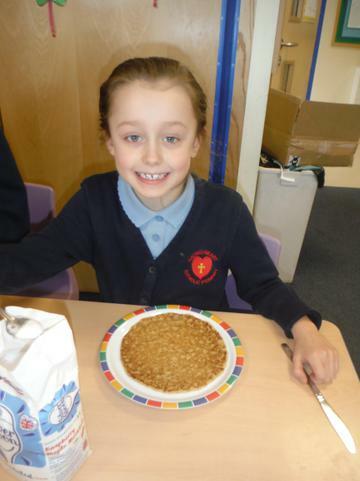 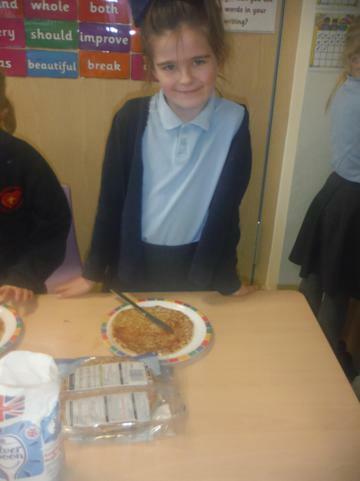 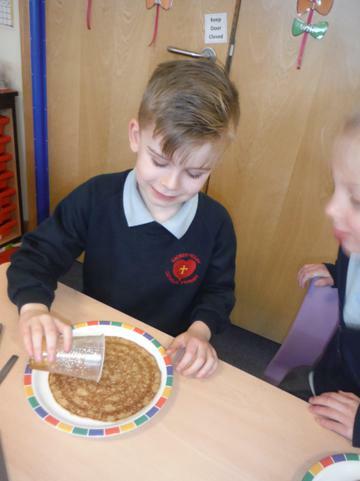 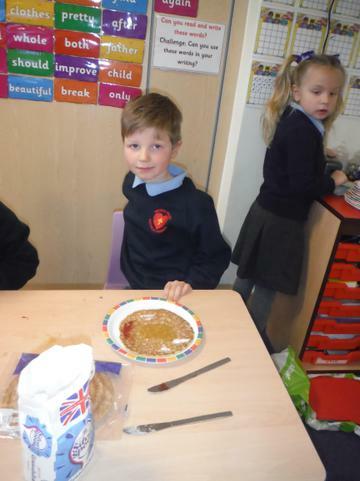 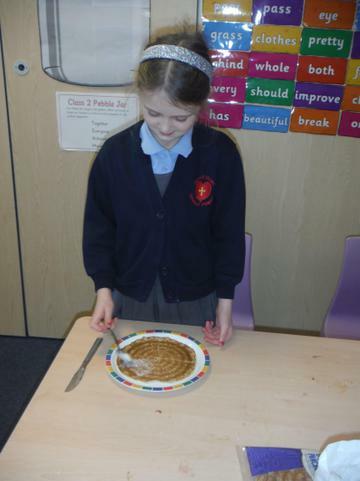 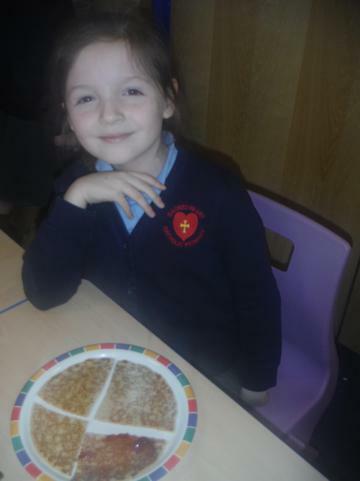 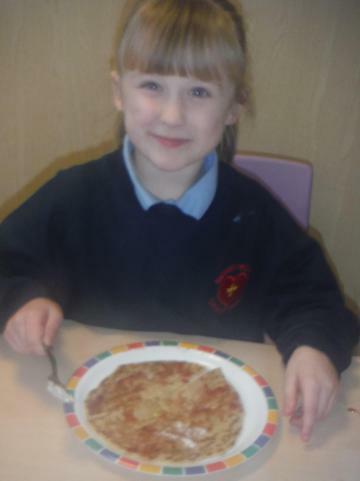 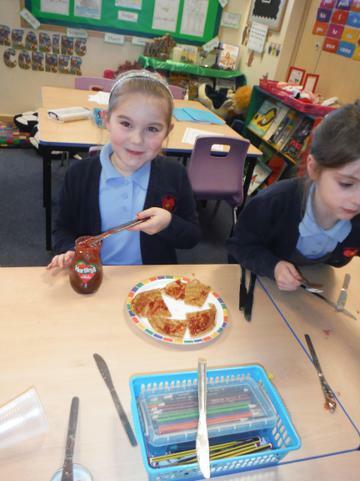 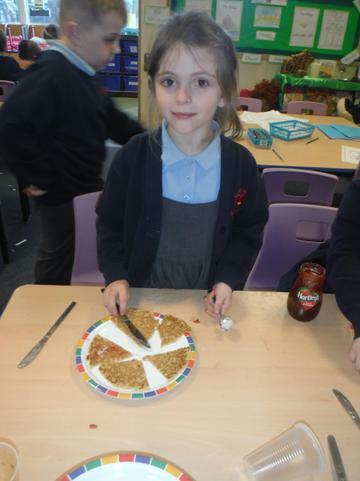 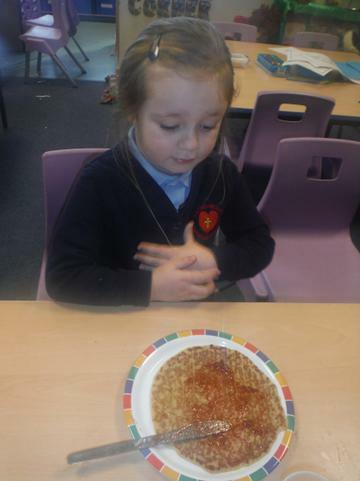 On Tuesday we celebrated Pancake Day by decorating and tasting pancakes. 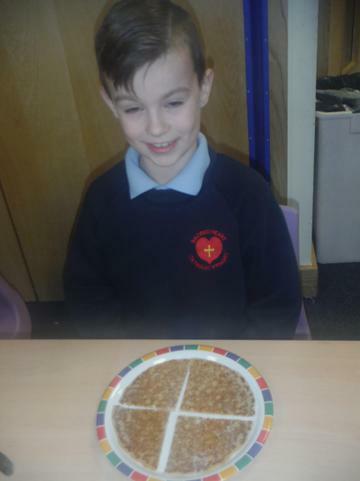 We participated in an Ash Wednesday service in school. 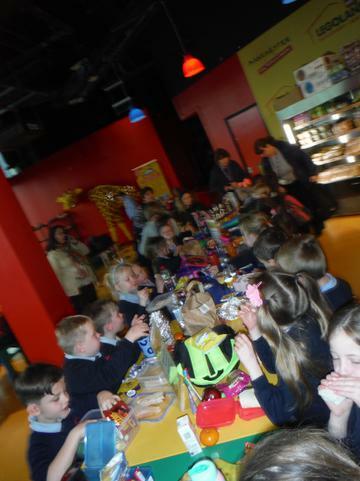 On Thursday we have a fun filled day doing 'Alice in Wonderland' activities. 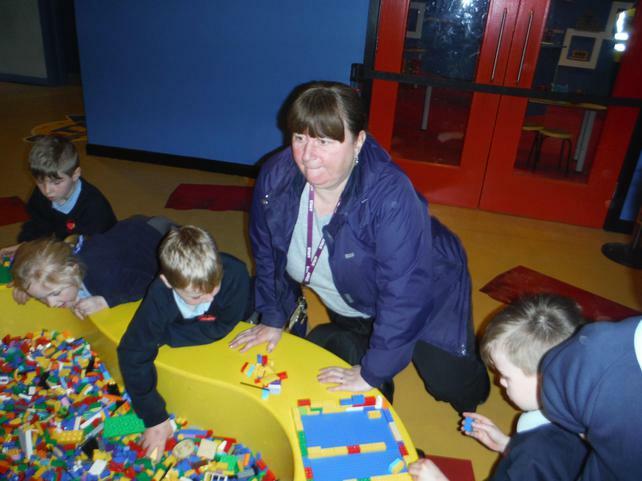 The children have all accessed our new learning provision this week and have created some wonderful structures that will be added to our 'Wow wall of buildings'. 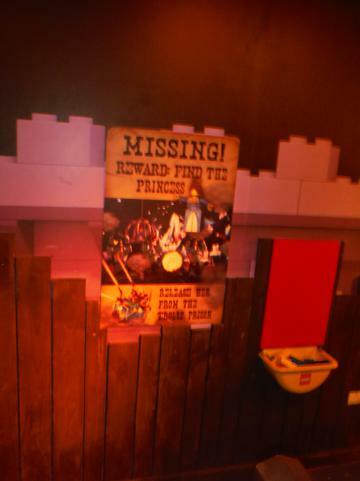 Next week we will bring our current topic Beat, Band and Boogie to a close.